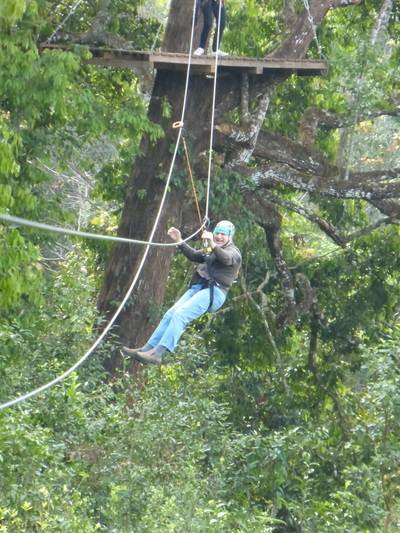 Fantastic experience! 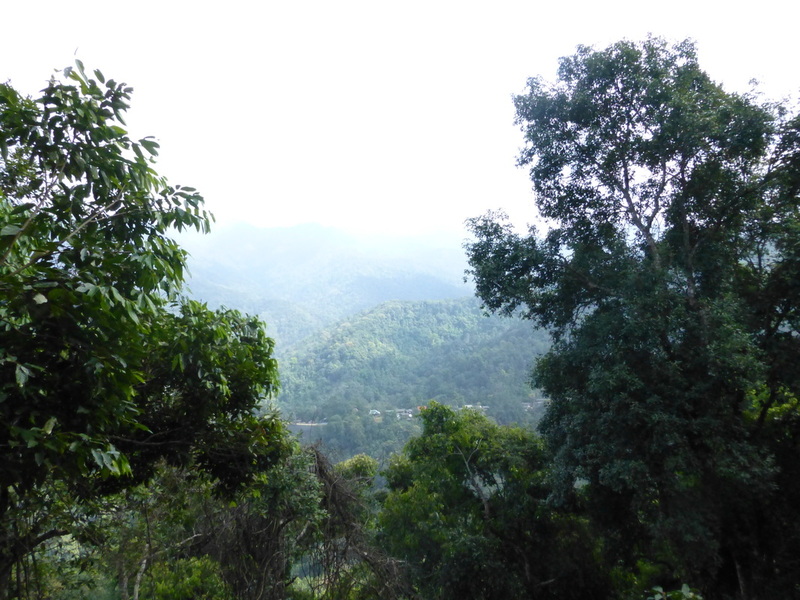 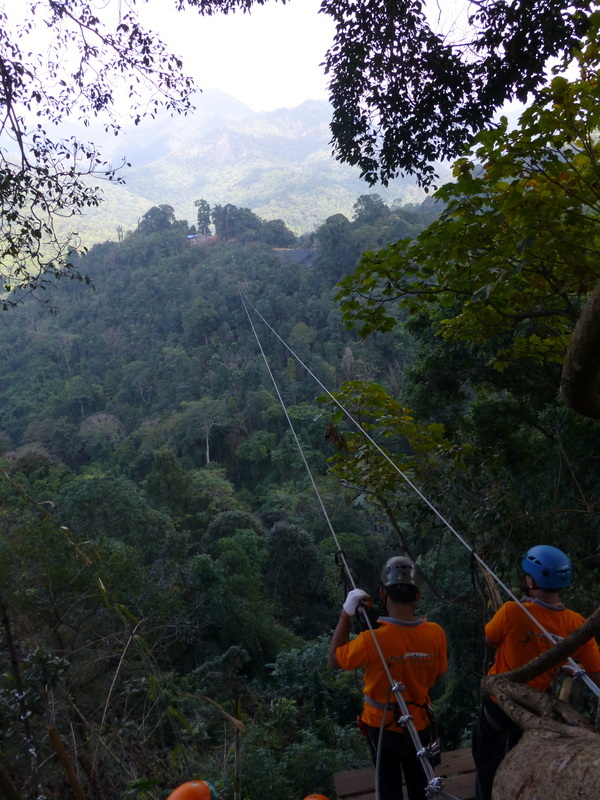 Katie and I Ziplined through the mountains of Thailand for nearly 4 hours zipping between nearly 40 platforms and experiencing several vertical drops, some nearly 200 ft. 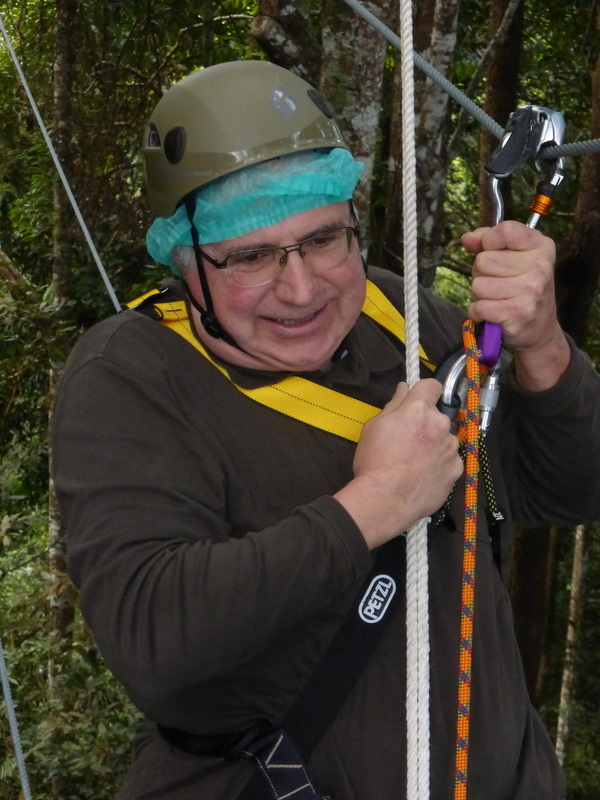 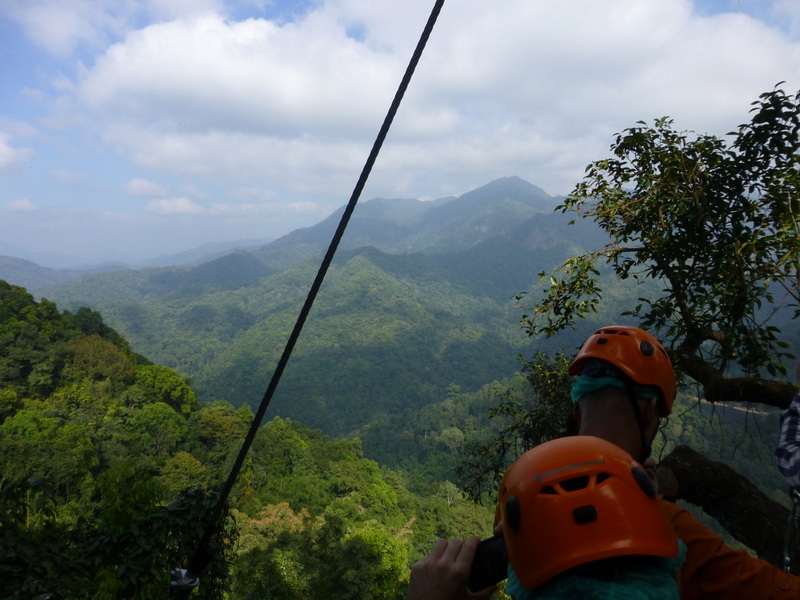 The last zip was an overwhelming experience lasting nearly a minute and traveling in the air for about 900 meters across a deep mountain gorge. 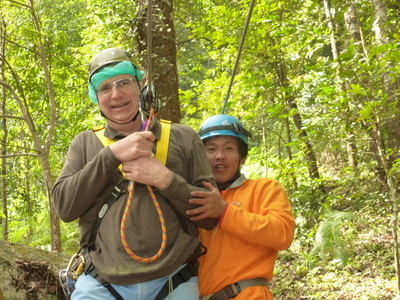 I was at the maximum weight of 240 lbs, but the much smaller Thai guides managed to keep me alive! Although I did get into to doing it very well after zipping to the first few platforms. 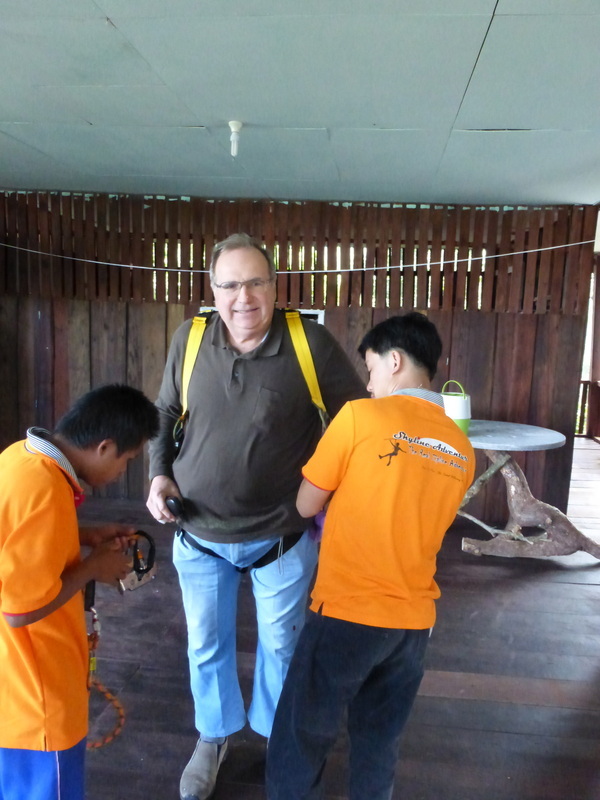 We are sharing our experience from two different perspectives. The first group of photographs are from Katie's camera and the second group of photographs are from my camera. 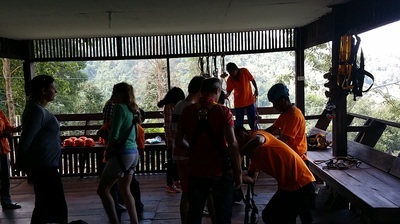 We also took some great videos and will upload them soon. 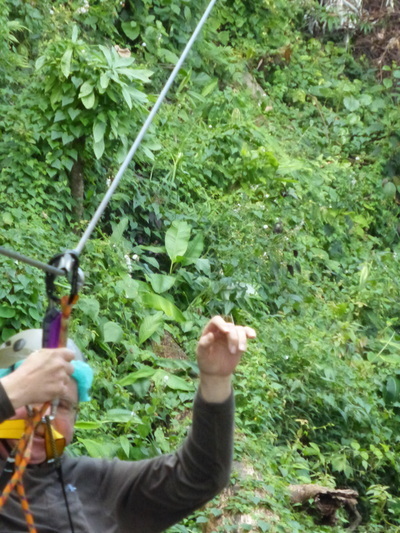 The two best videos will be my video of Katie crossing the 900 meter gorge and Katie's video taken while she was crossing the 900 meter gorge. 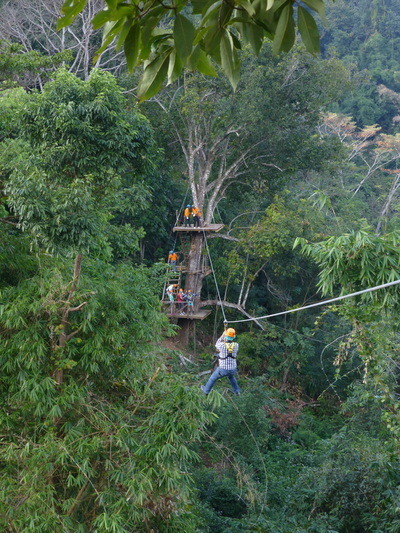 Everyone should travel to Thailand at least once in their life to experience zipping through the mountains of Thailand. 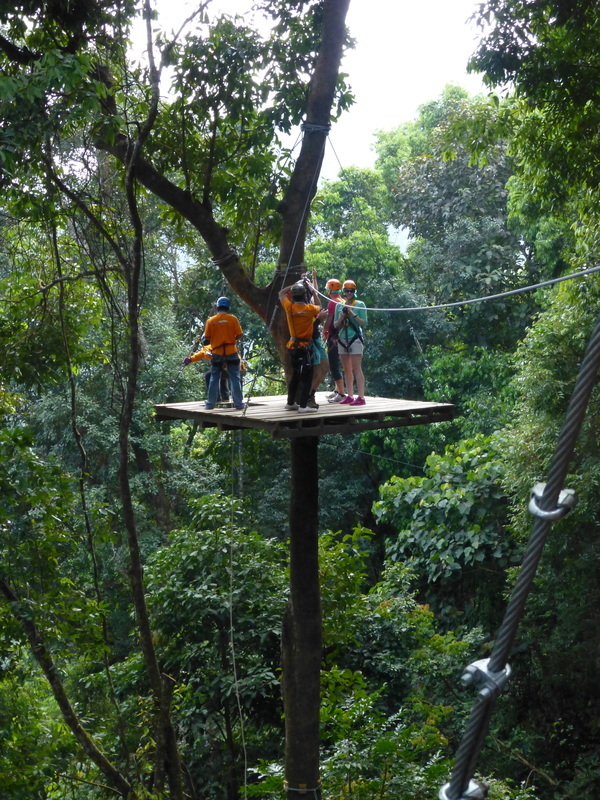 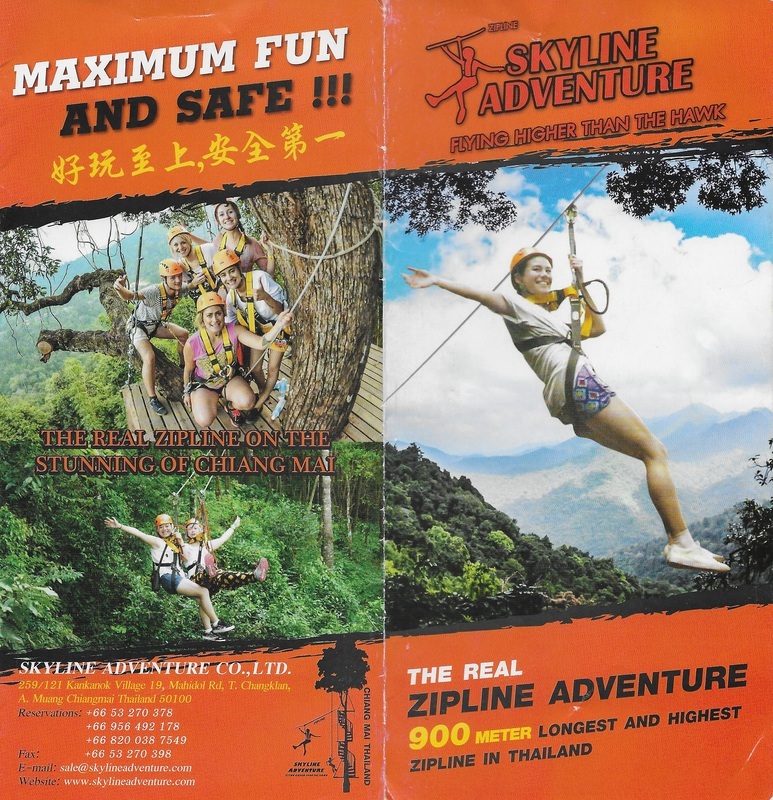 Skyline Adventure, "The Real Zipline Adventure," provided us with this great experience! 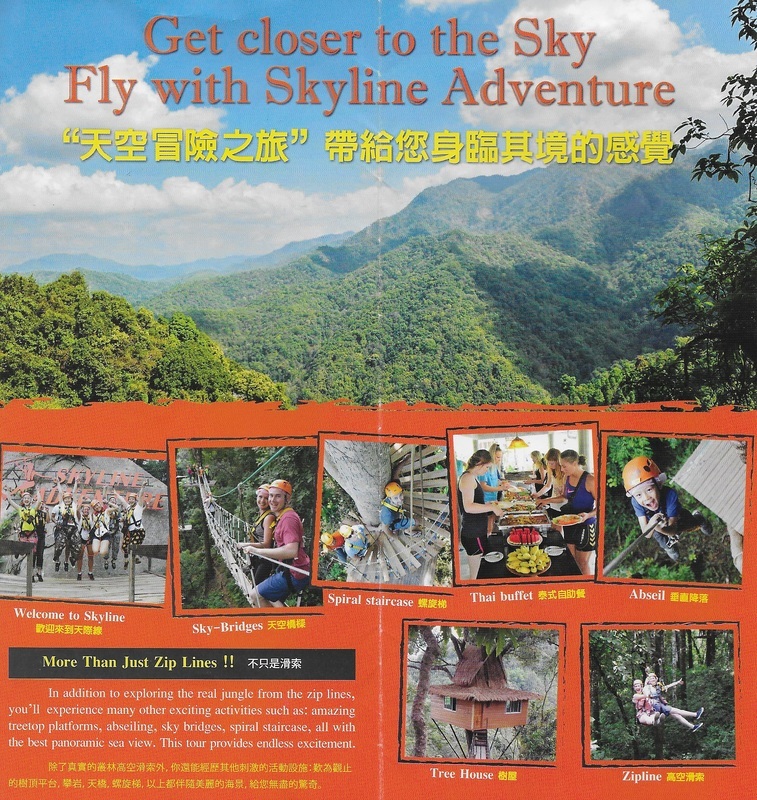 Skyline Adventure just opened two weeks before we enjoyed our Zipline experience. Katie's Video: The last zip of the Skyline Adventure is a 900 meter line and takes nearly a minute to travel. The following video is from Katie's camera of zipping this 900 meter line, and the following link to a video posted on YouTube is from my camera of Katie zipping the same line at the same time: http://www.youtube.com/watch?v=wUJ3HOZunkE Zip lining was an awesome experience! 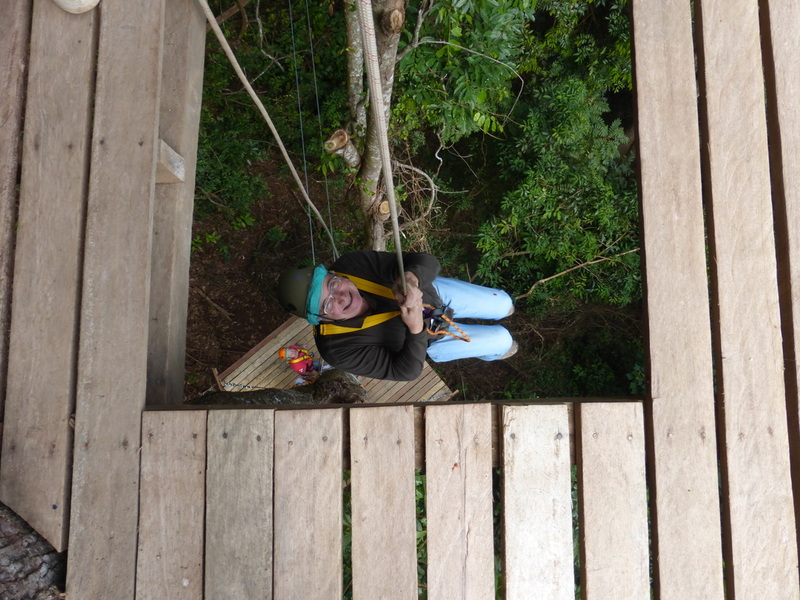 Capturing the Zipline experience from Katie's camera, Christmas Day, December 25, 2013. 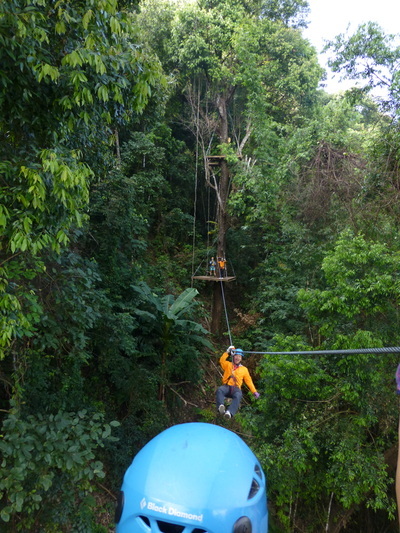 Capturing the Zipline experience from Gene's camera on Christmas Day, December 25, 2013. 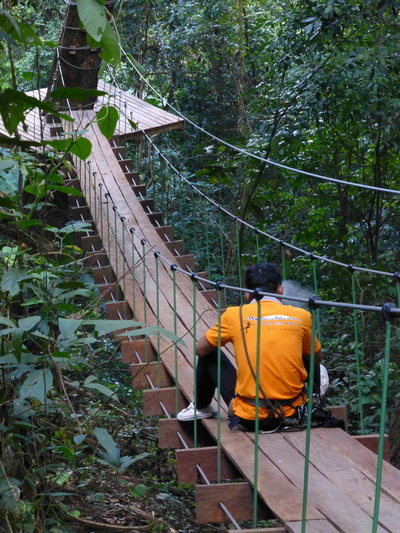 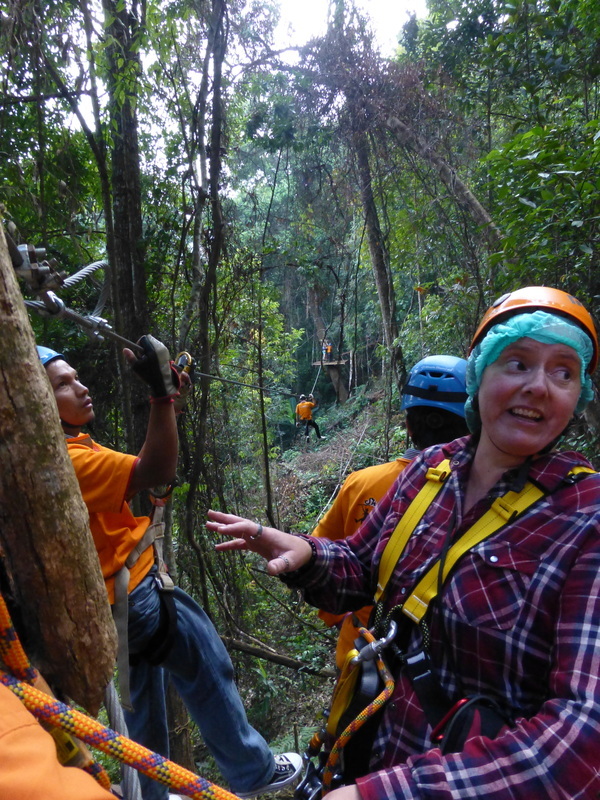 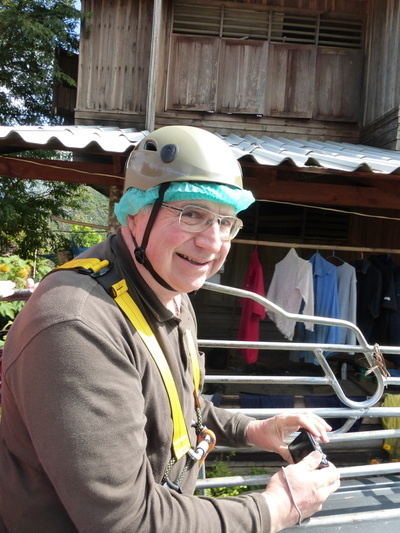 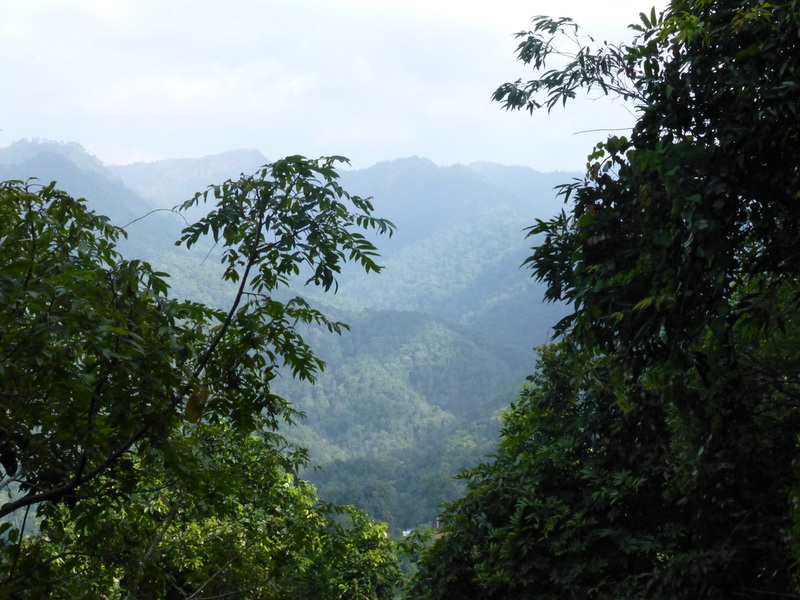 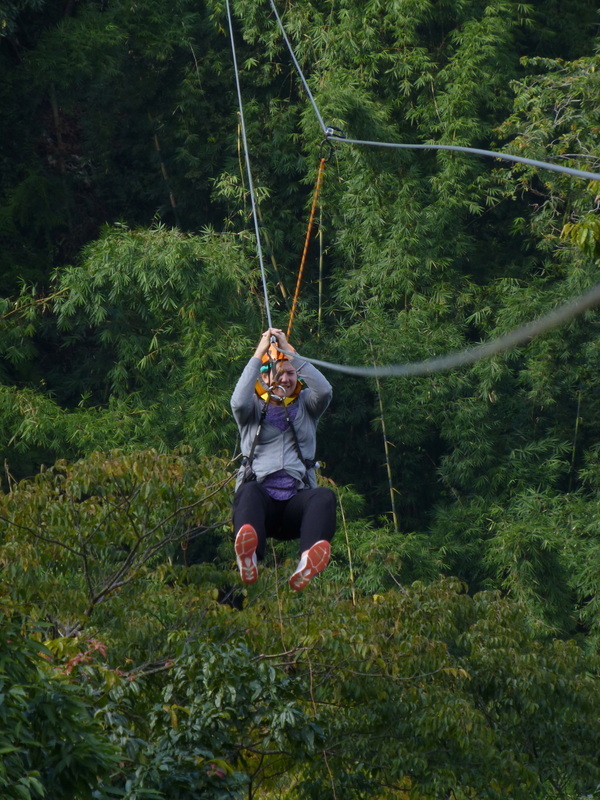 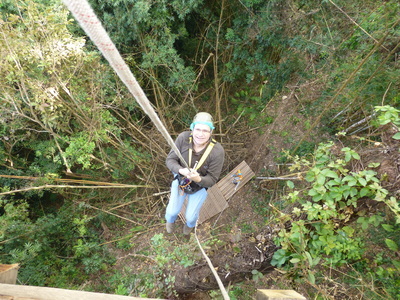 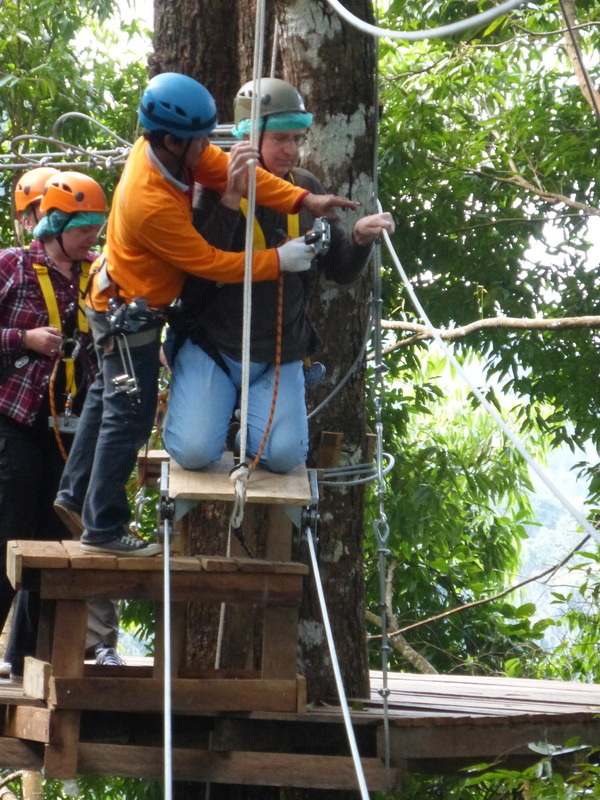 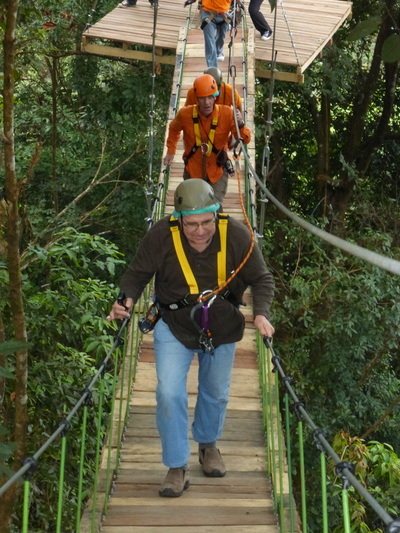 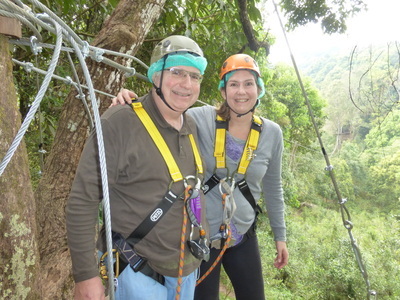 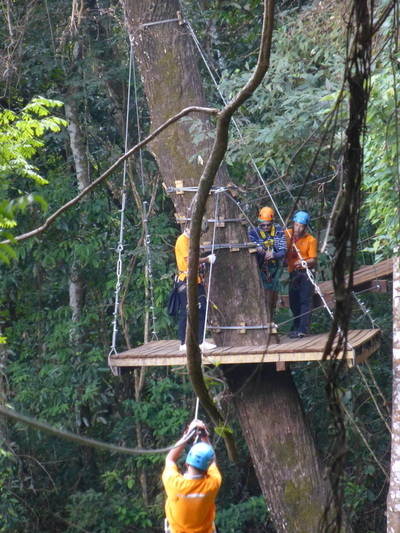 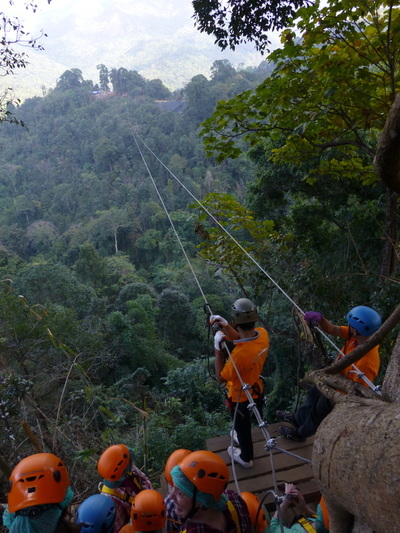 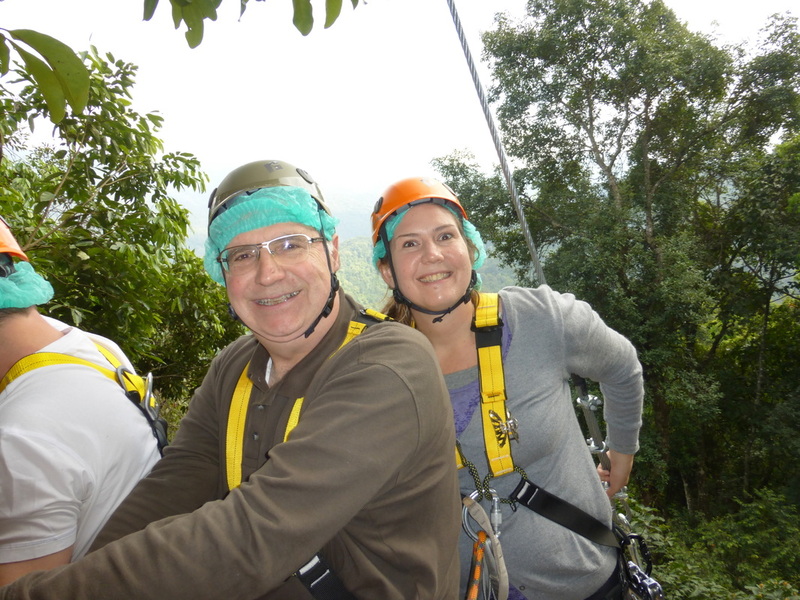 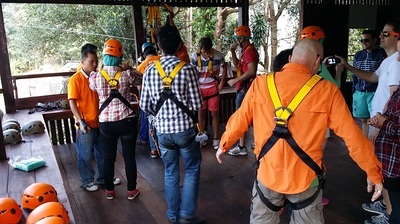 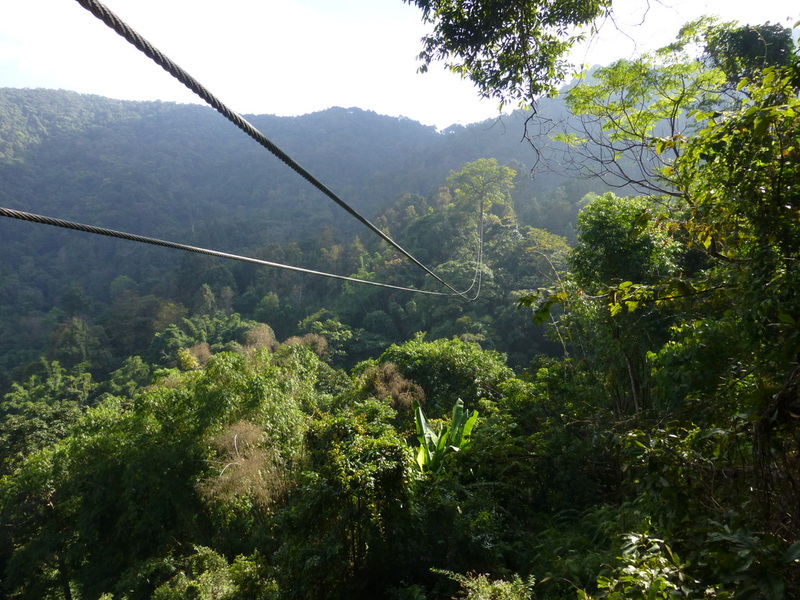 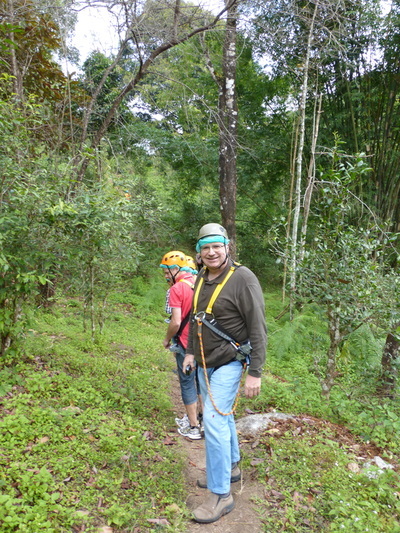 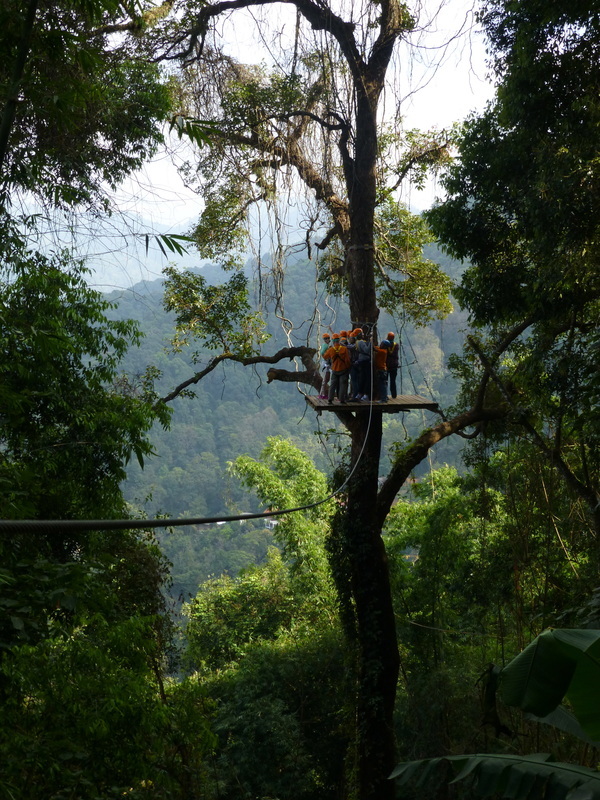 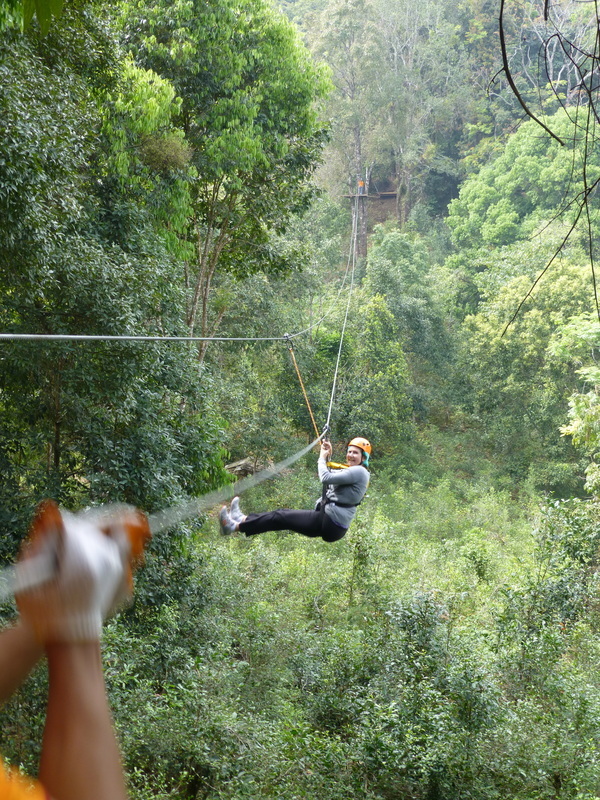 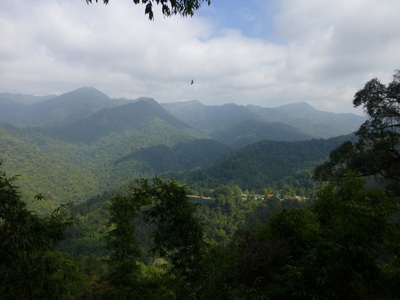 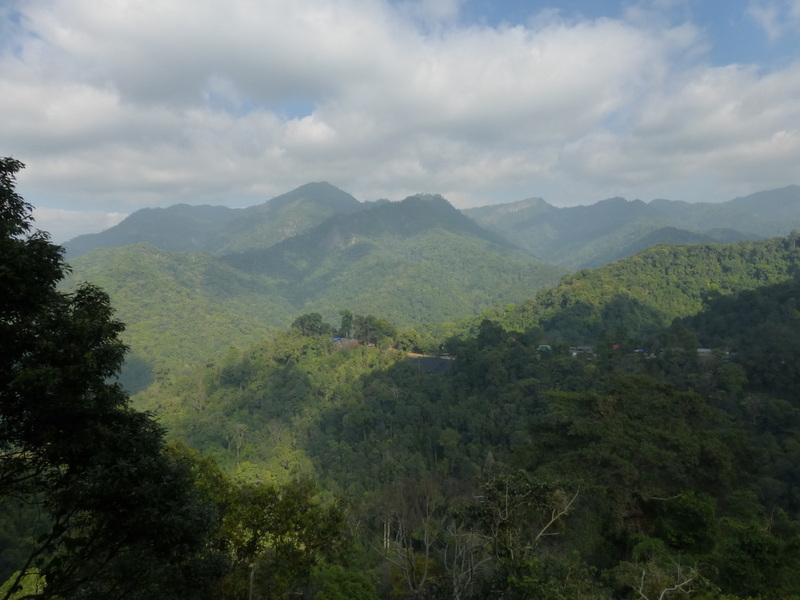 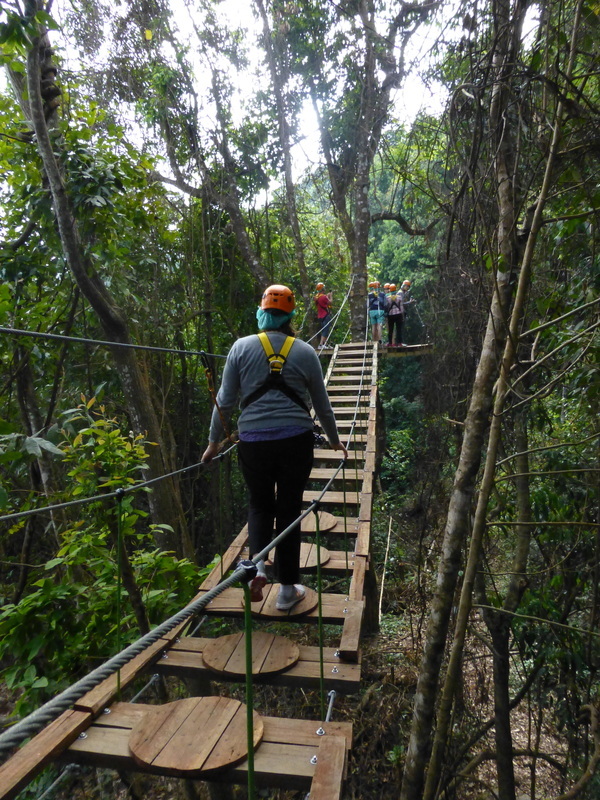 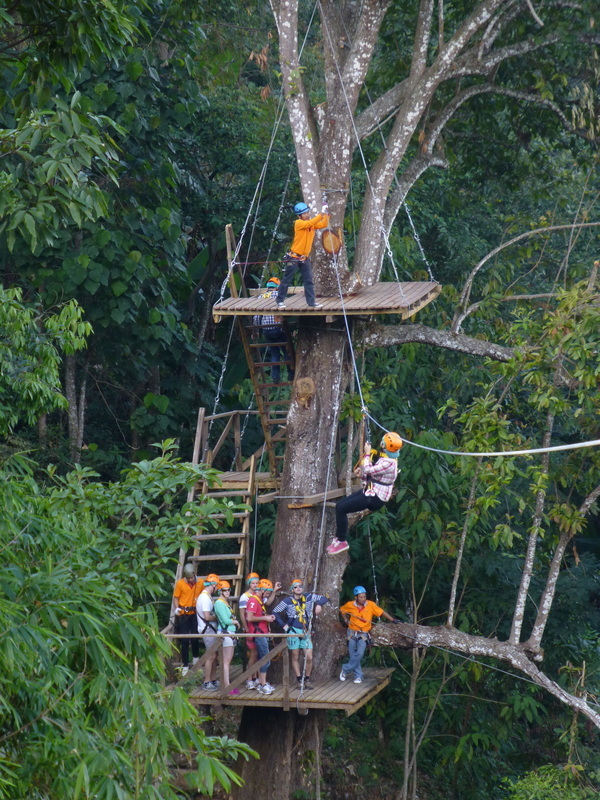 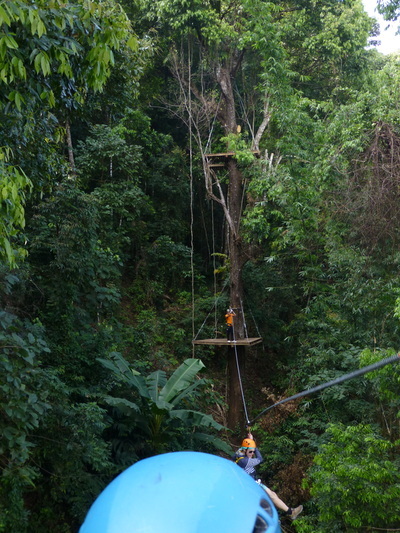 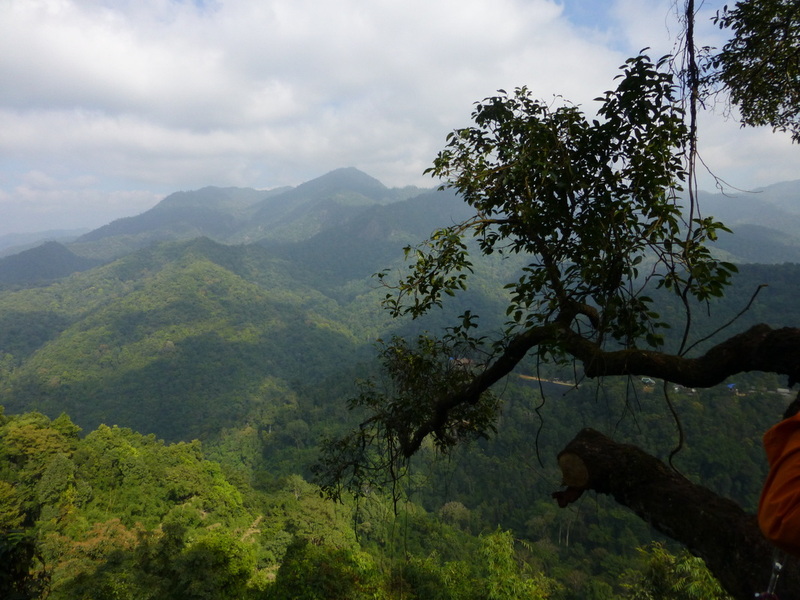 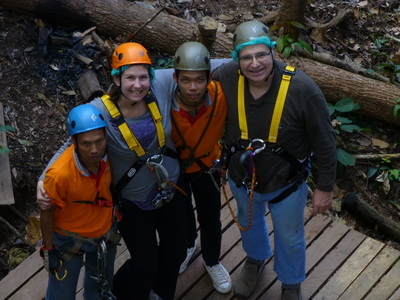 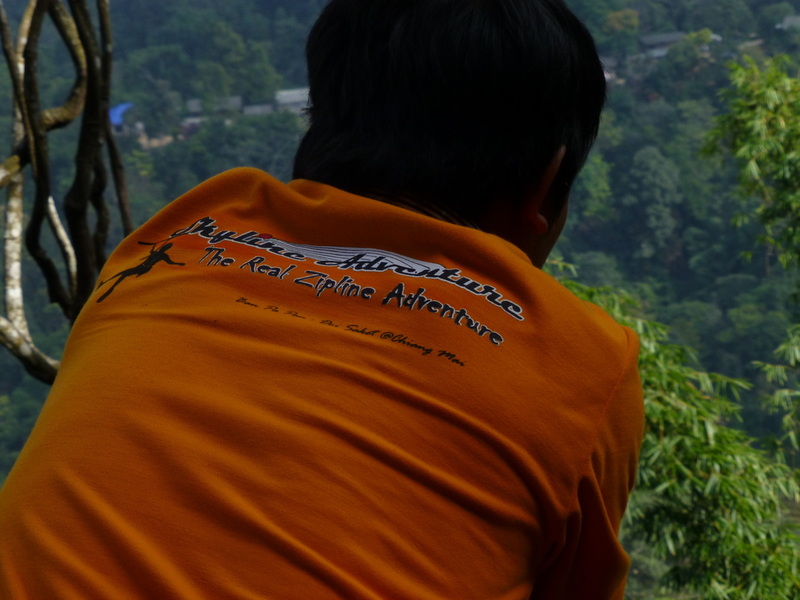 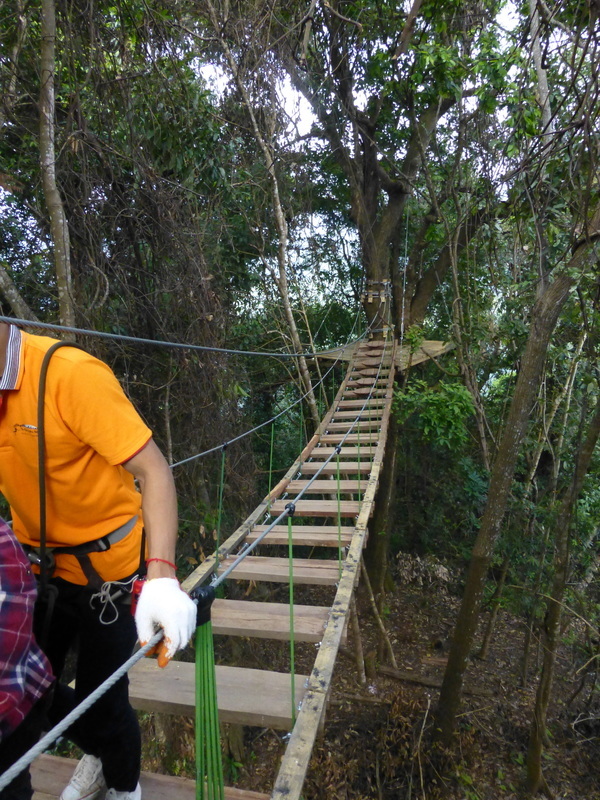 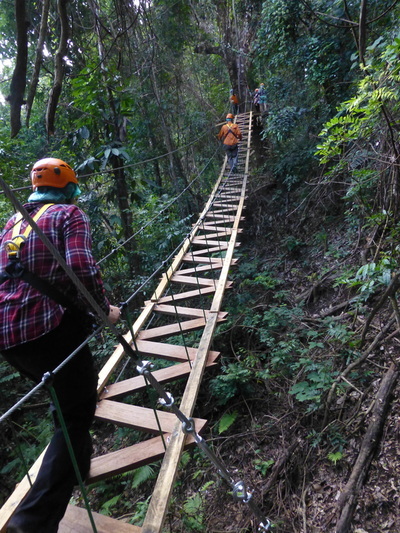 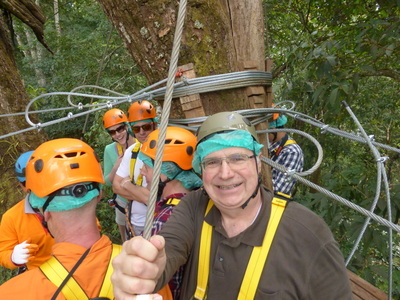 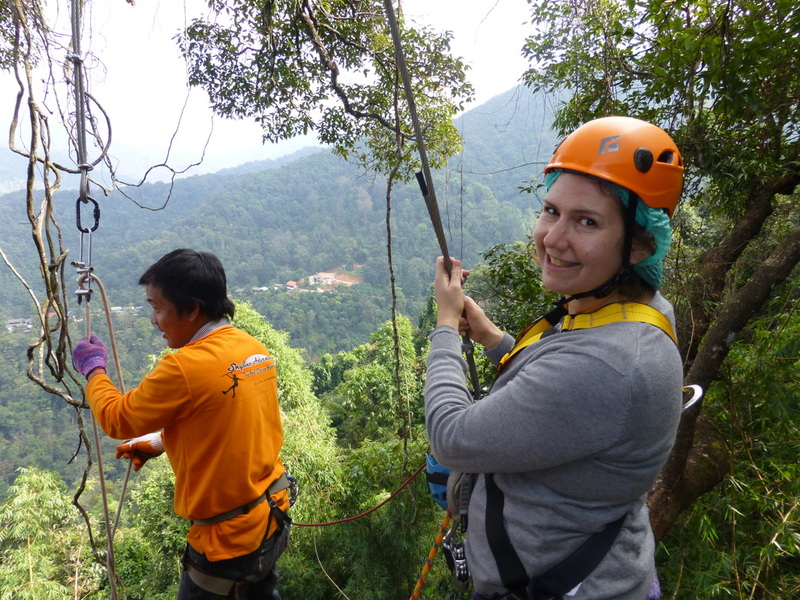 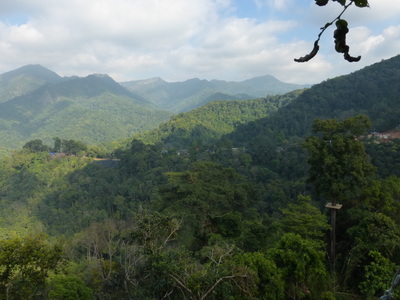 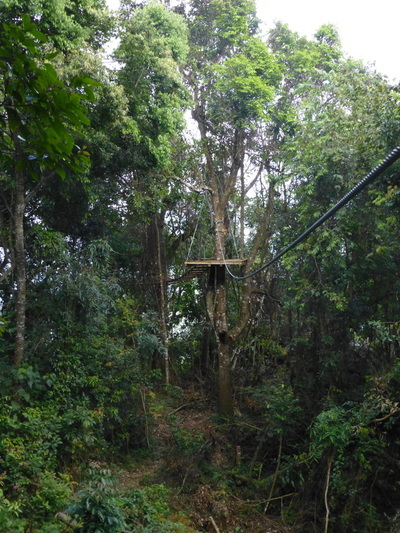 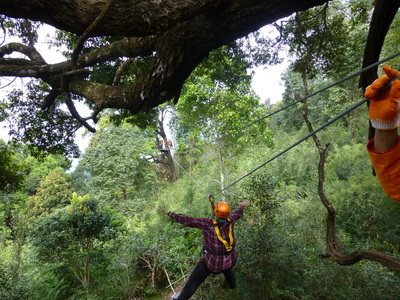 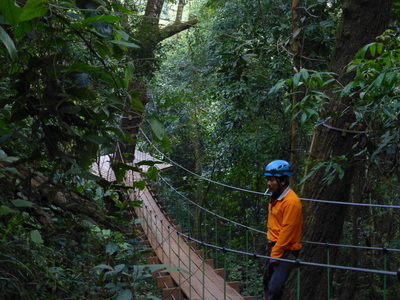 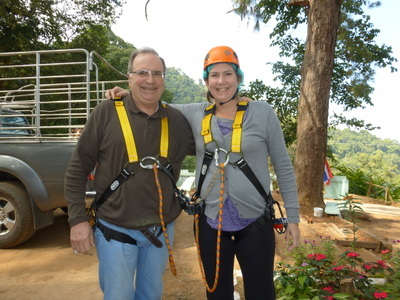 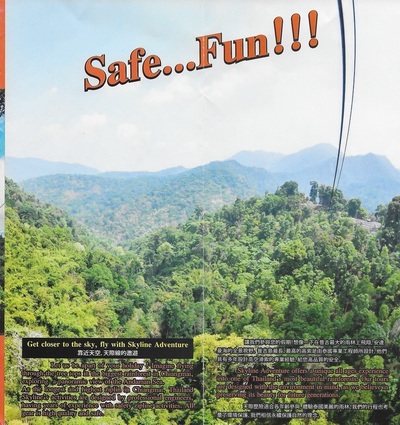 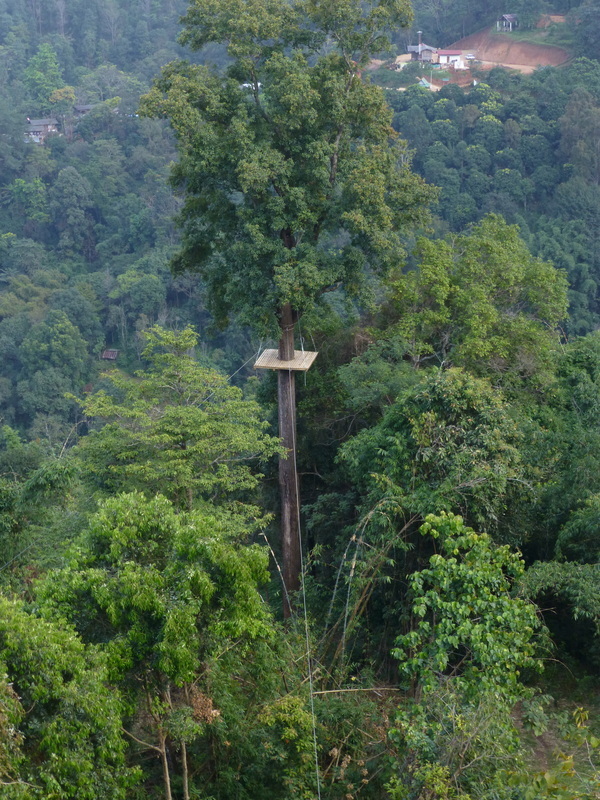 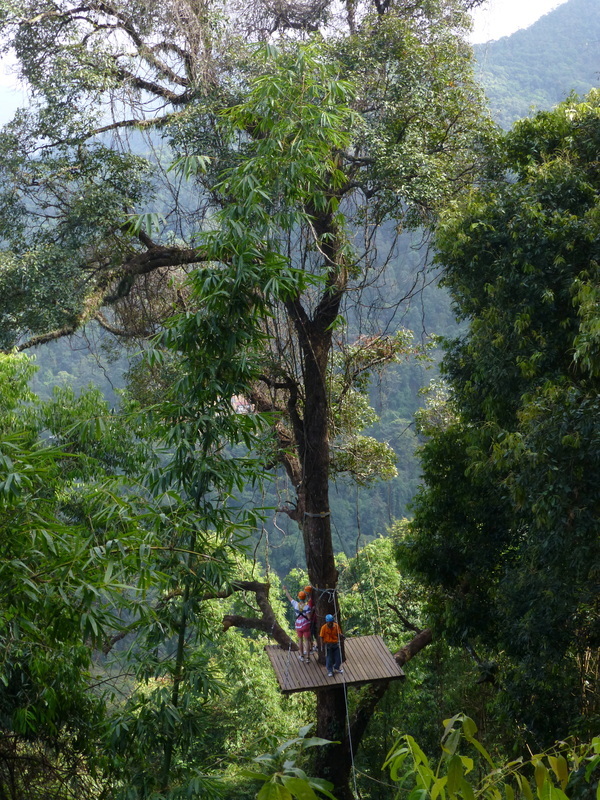 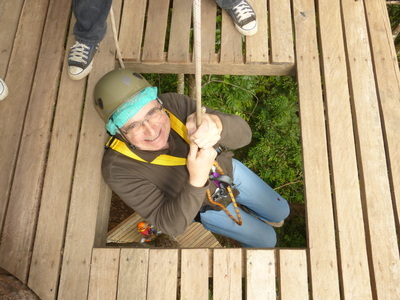 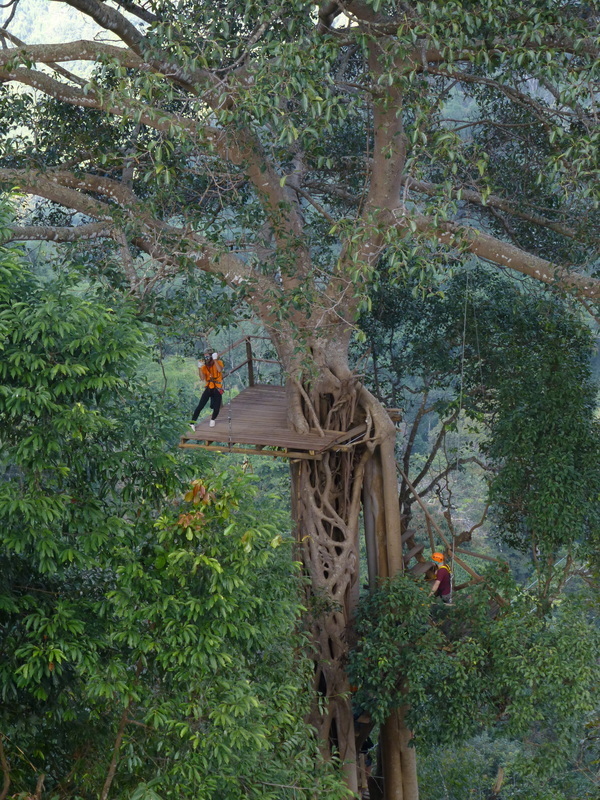 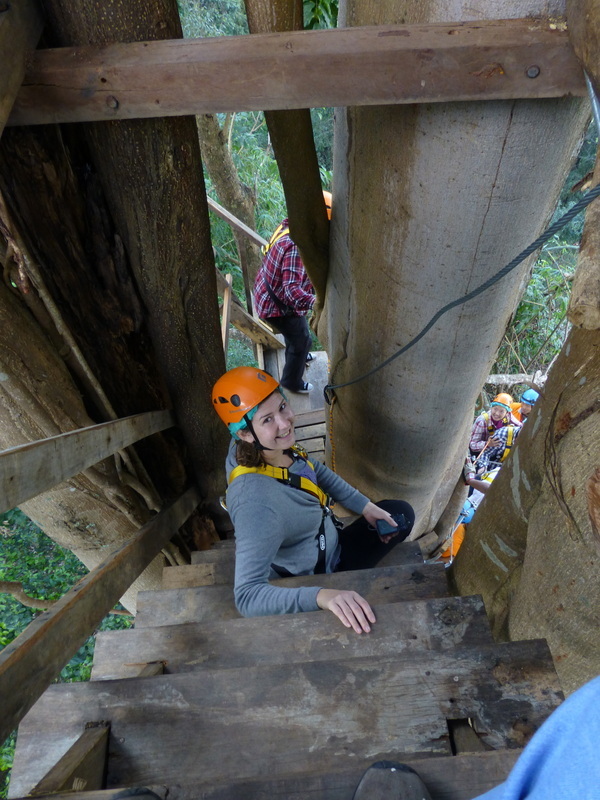 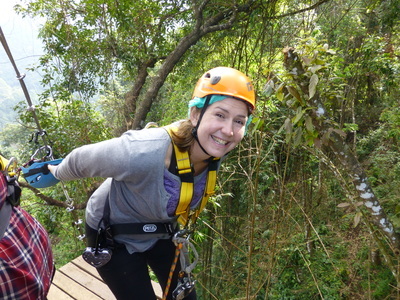 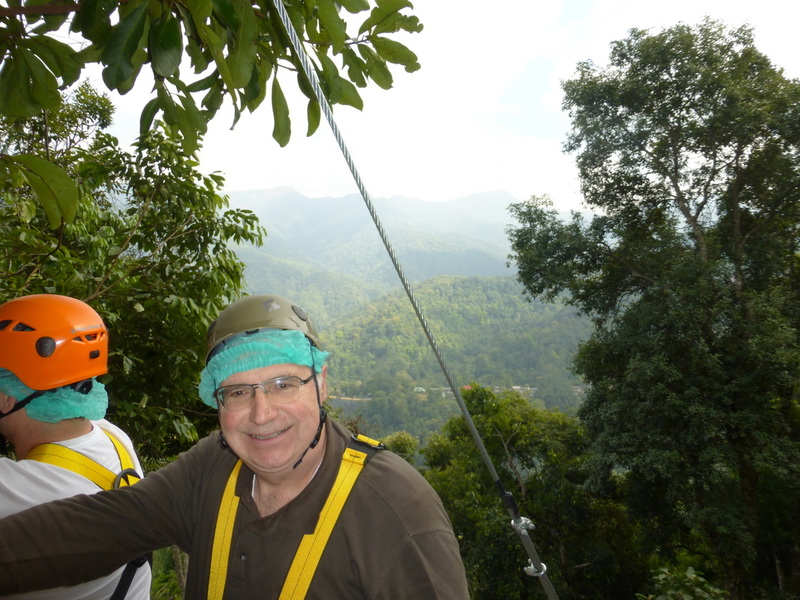 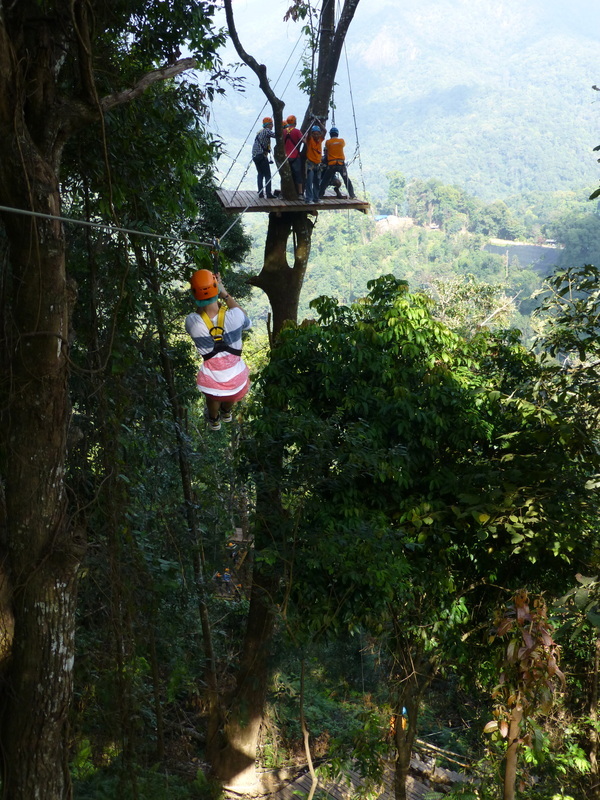 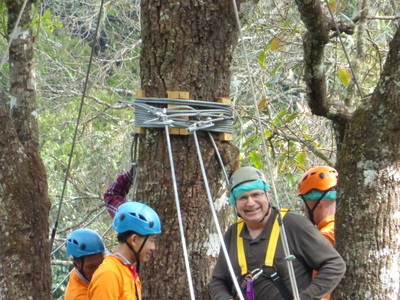 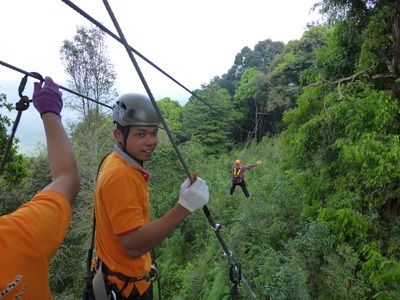 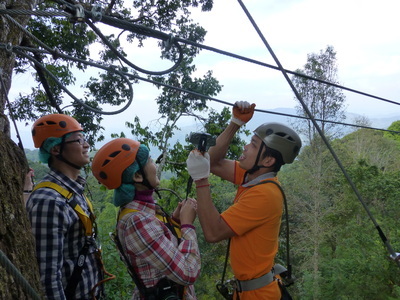 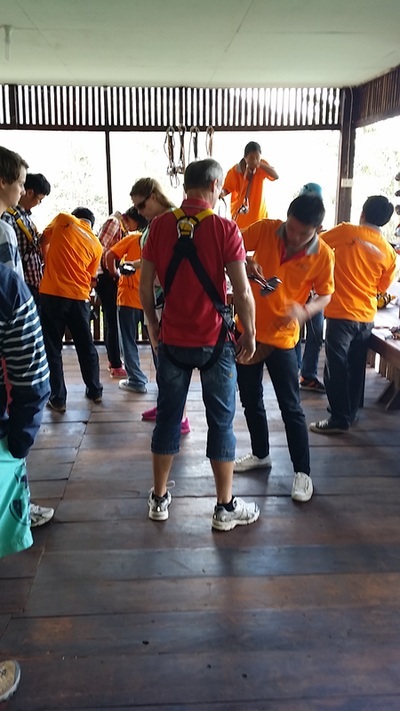 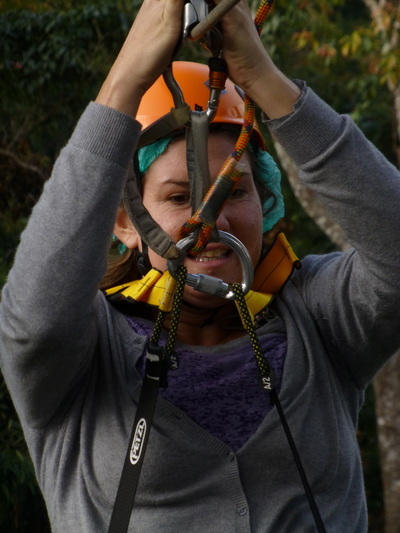 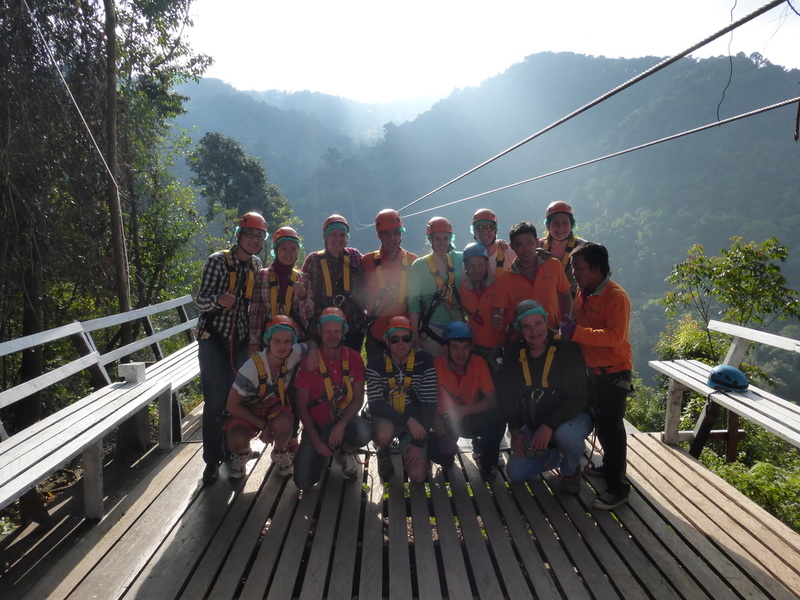 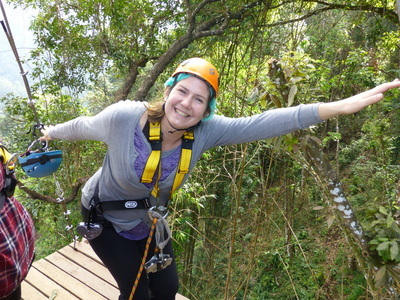 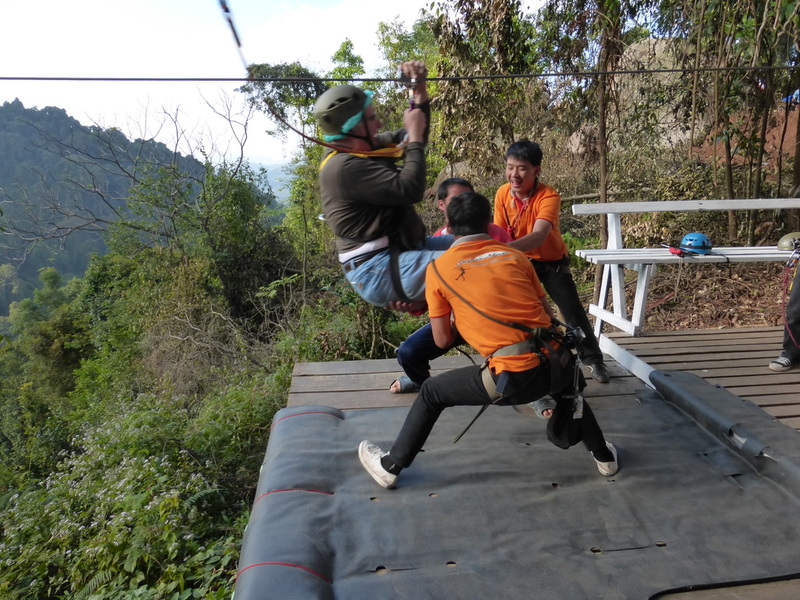 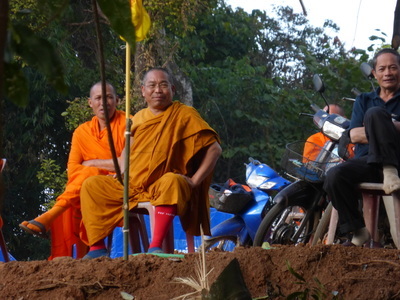 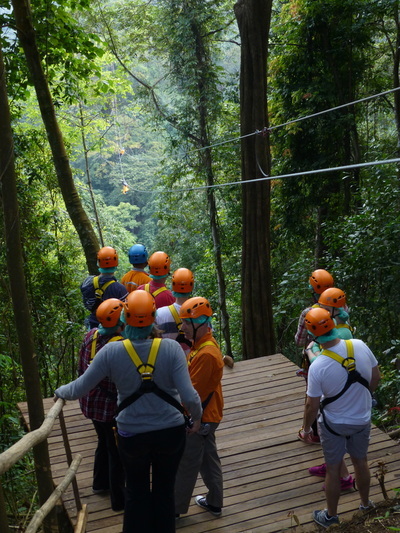 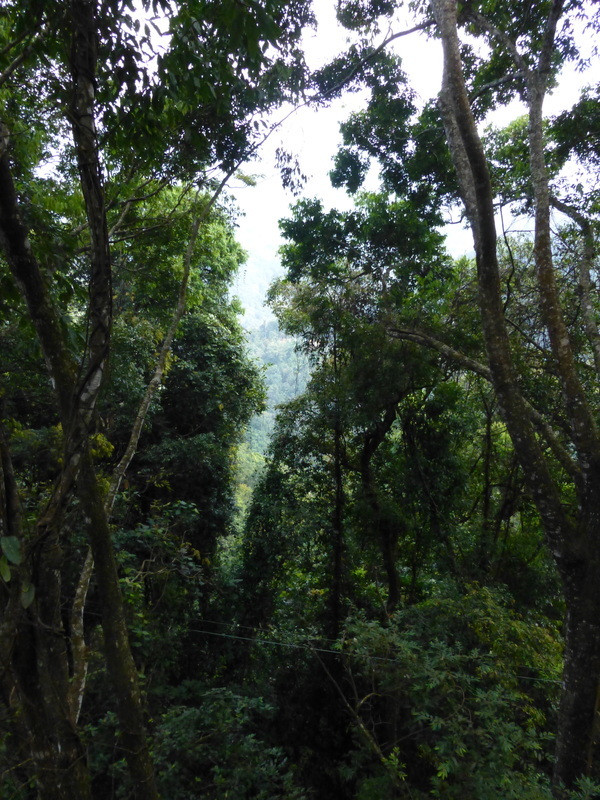 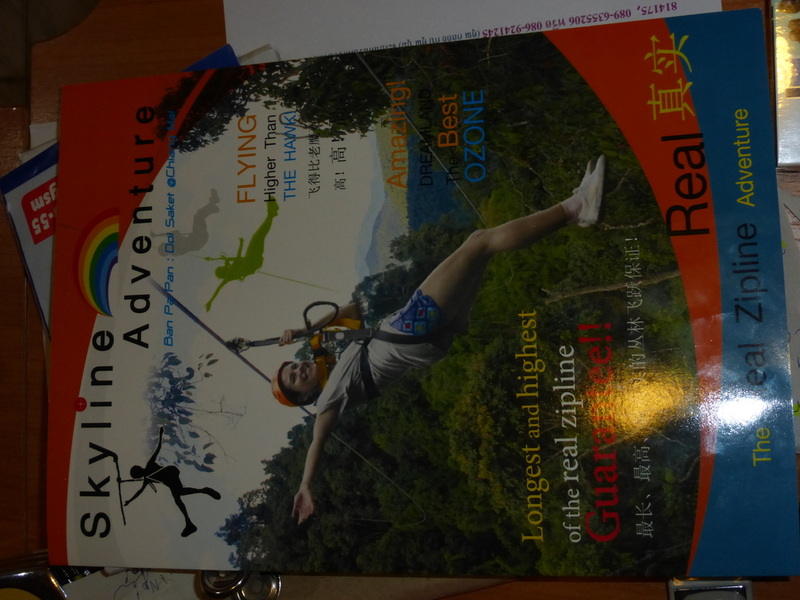 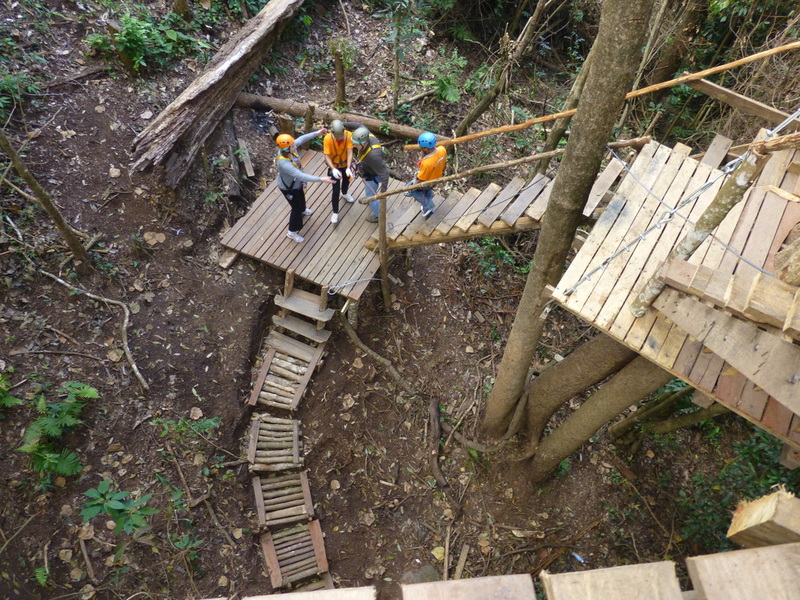 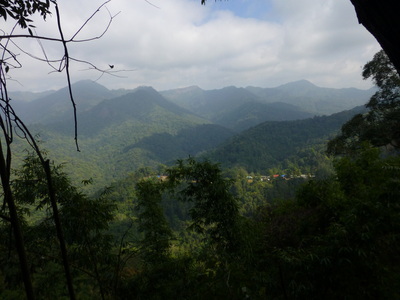 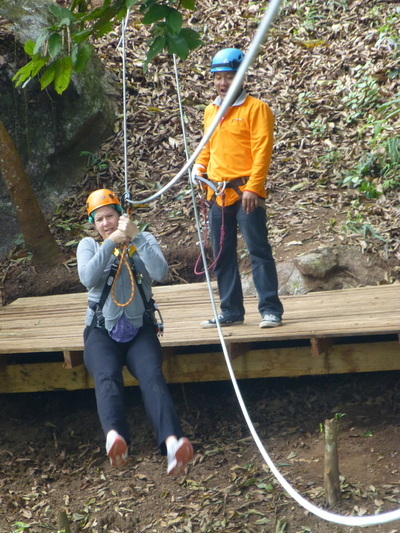 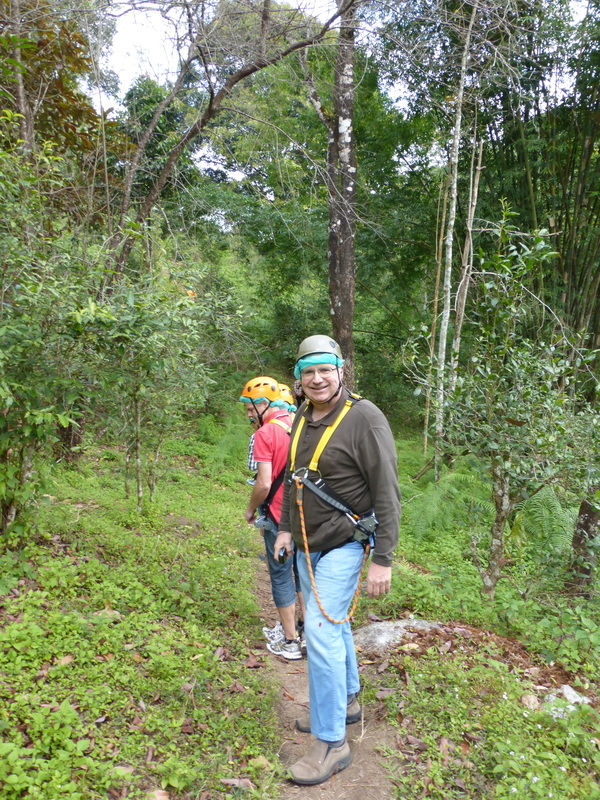 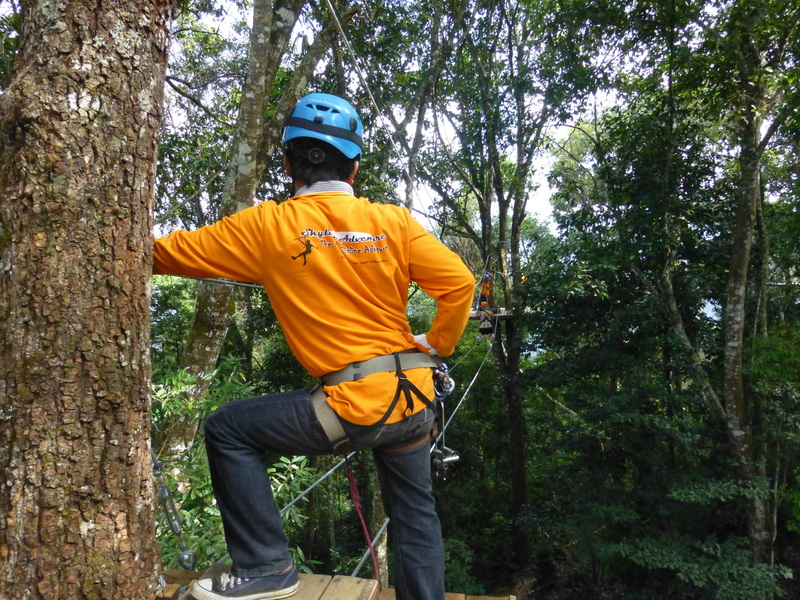 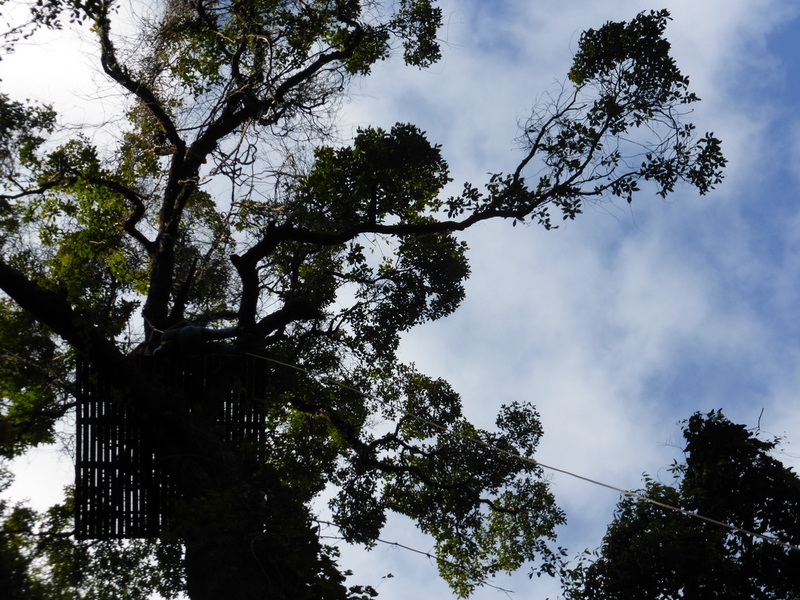 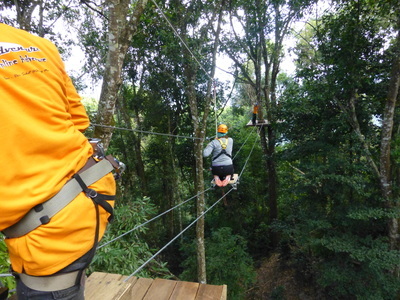 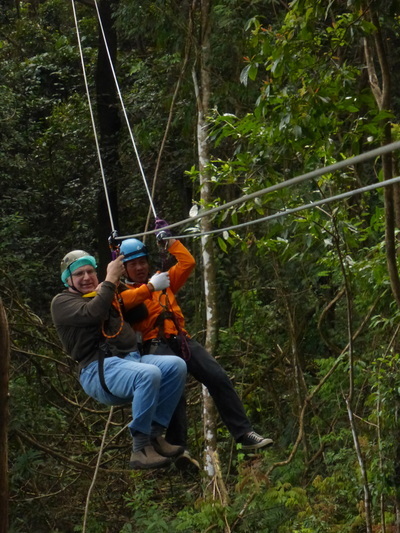 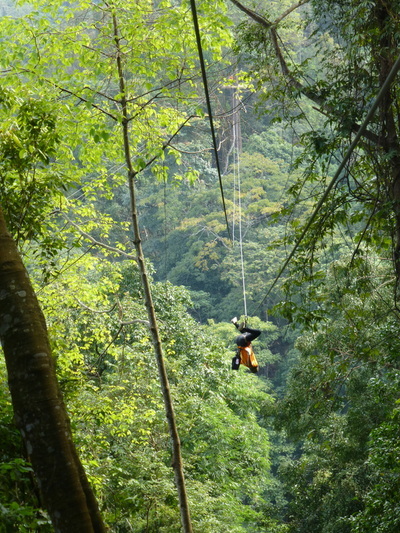 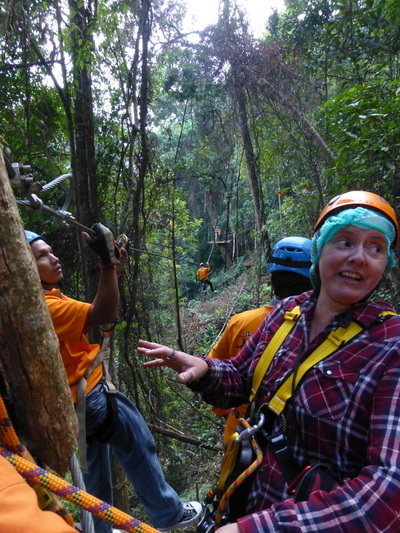 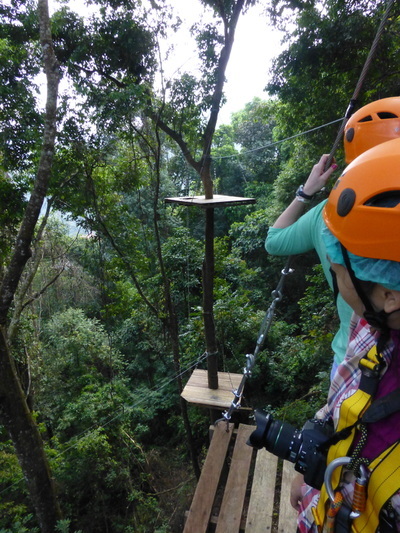 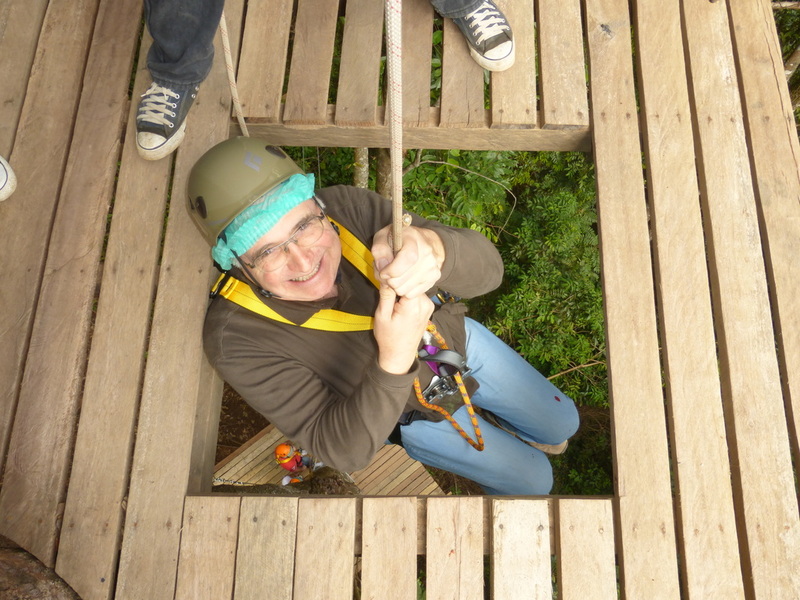 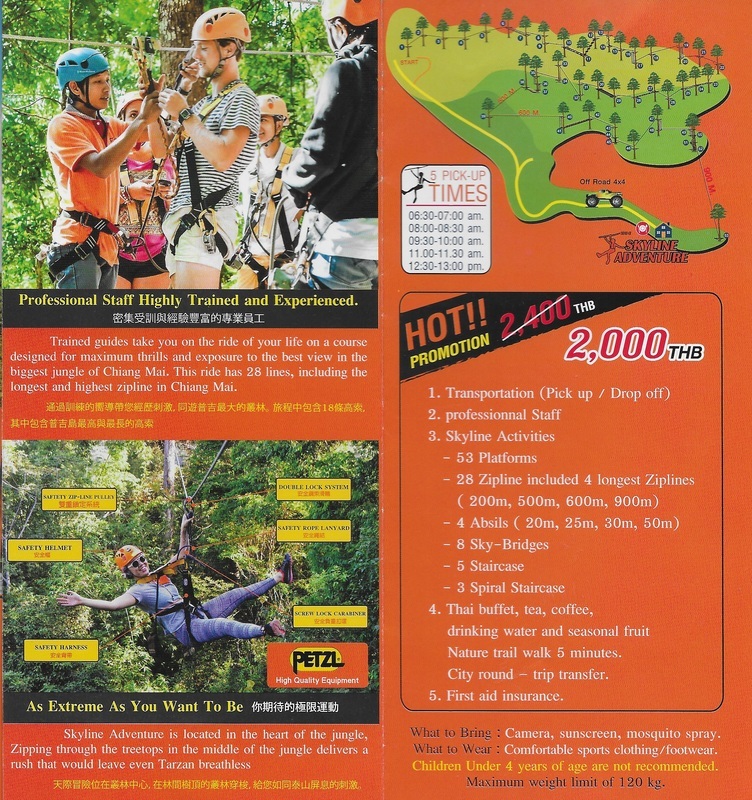 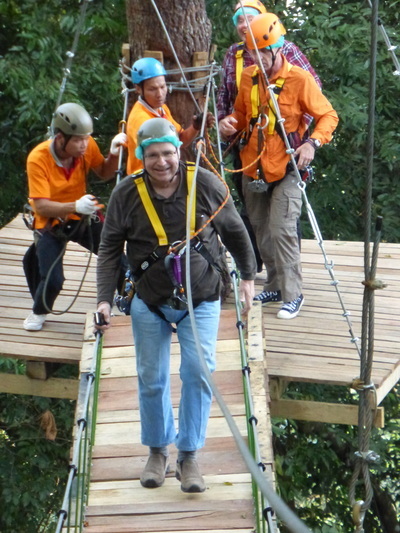 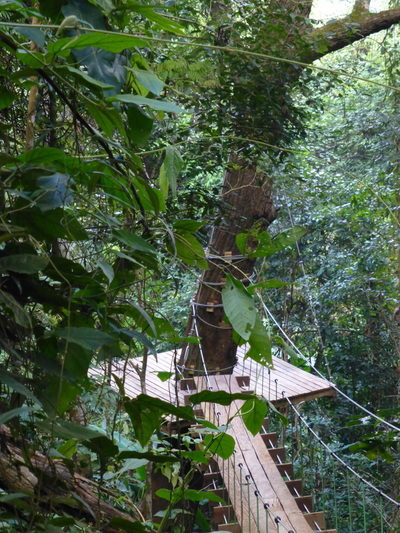 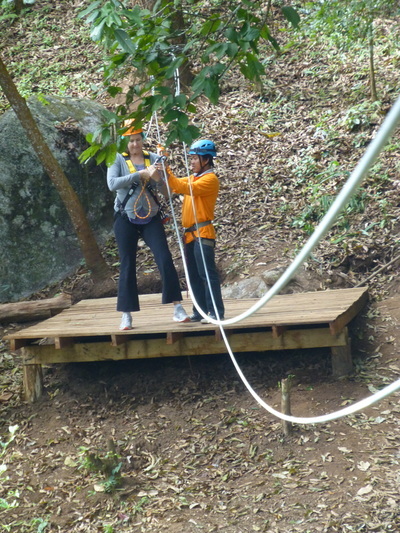 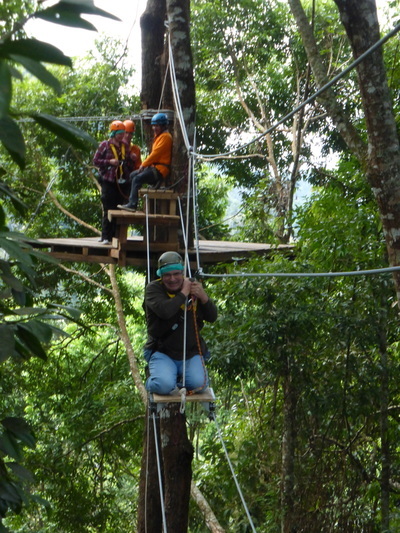 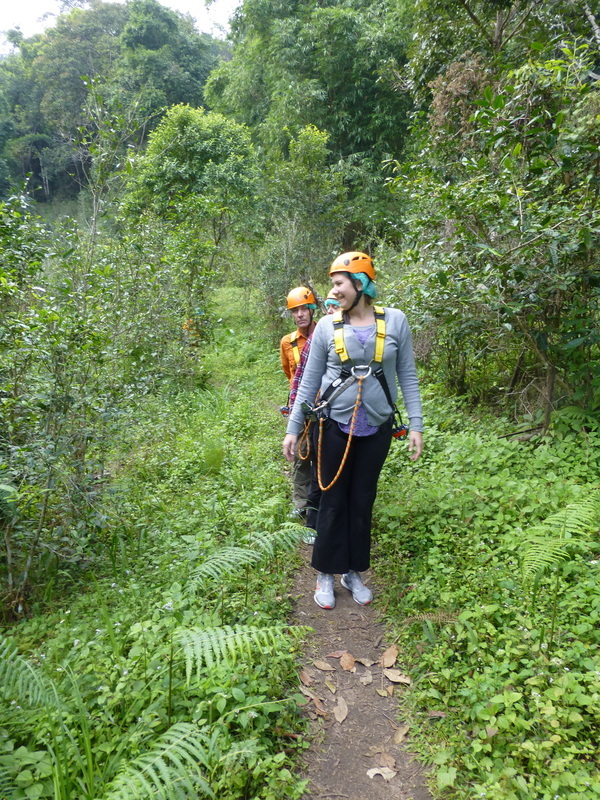 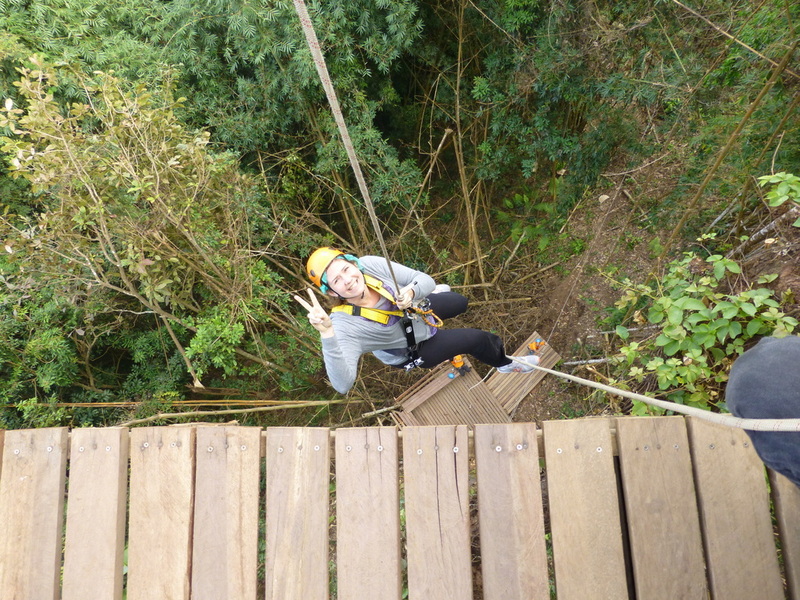 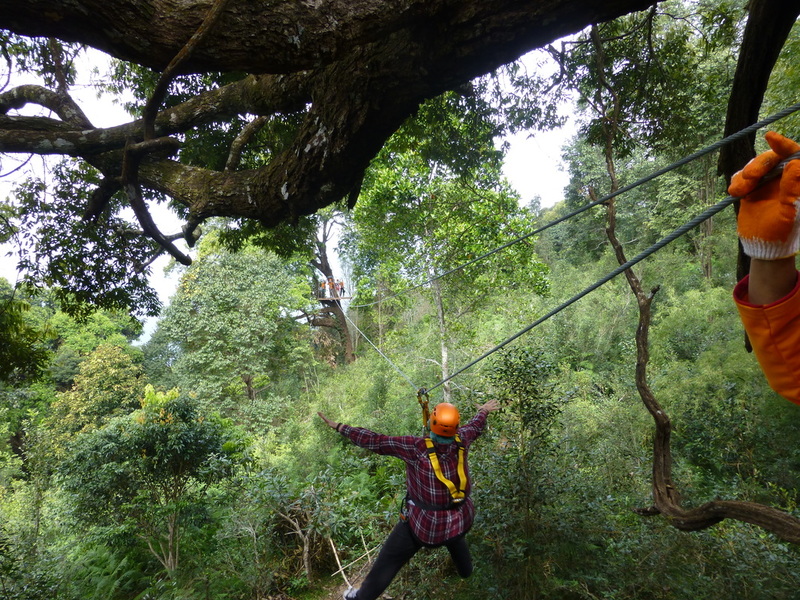 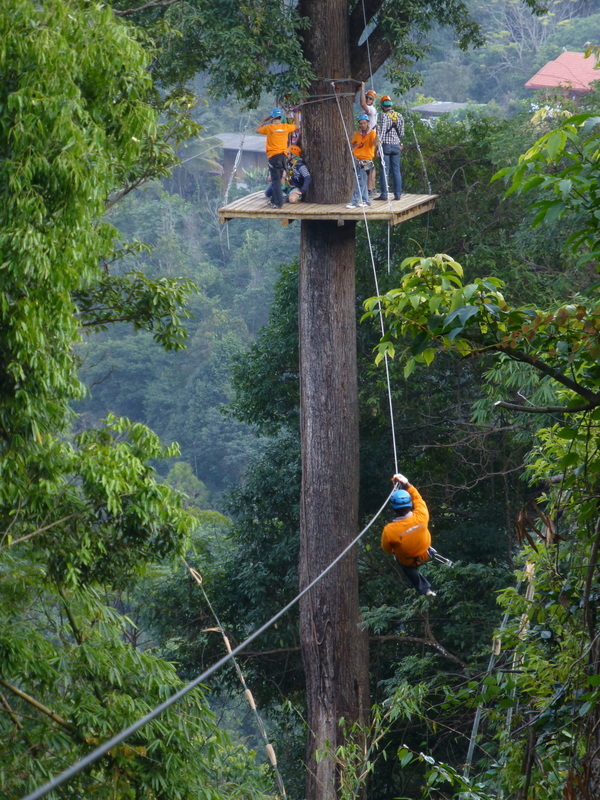 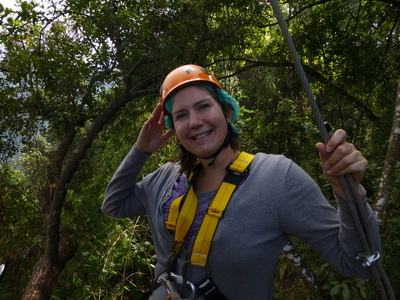 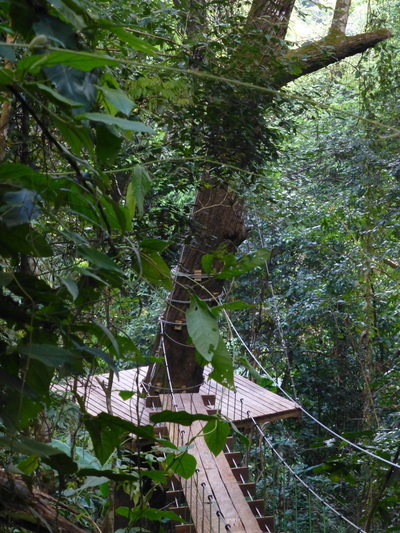 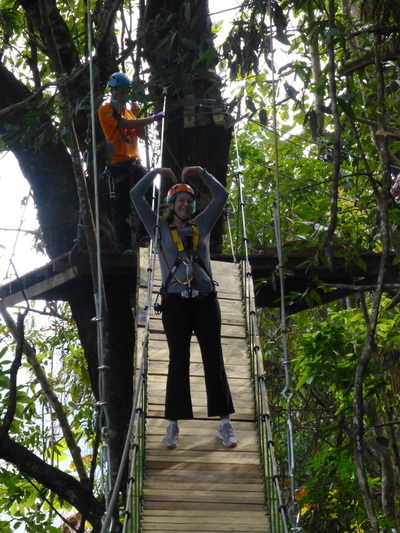 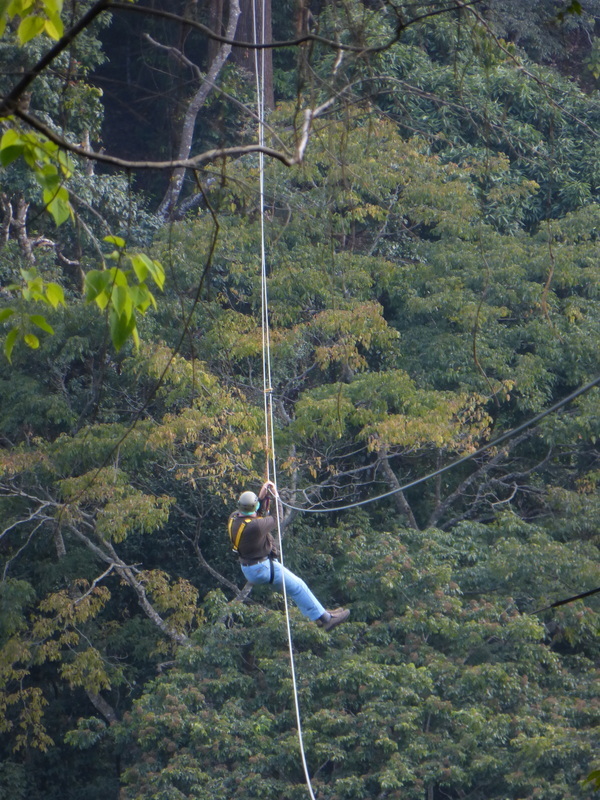 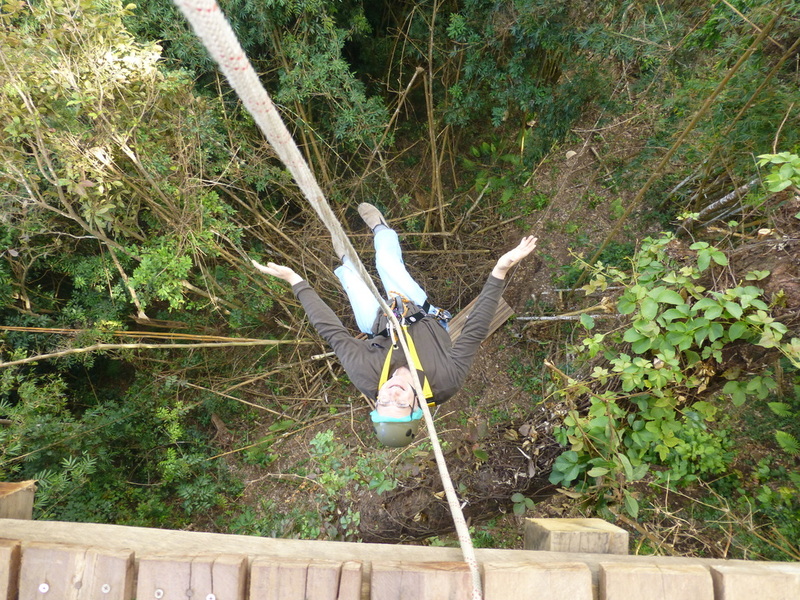 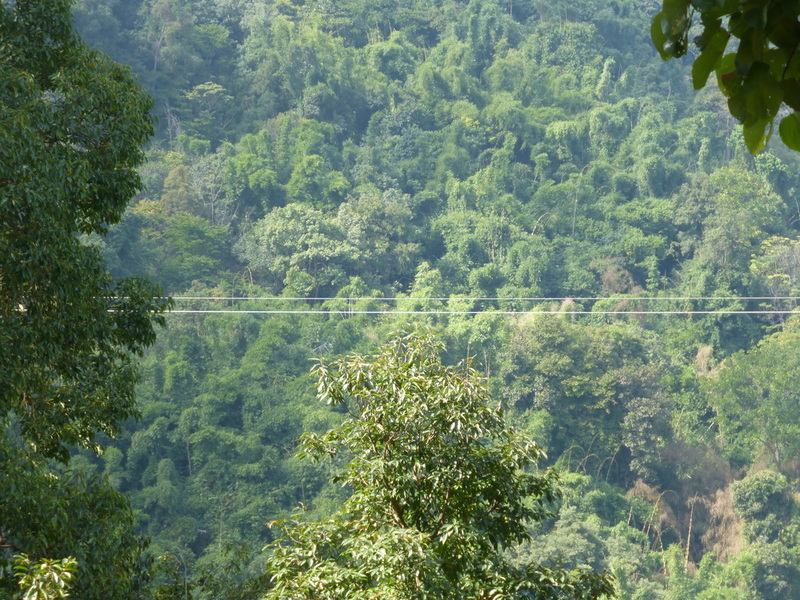 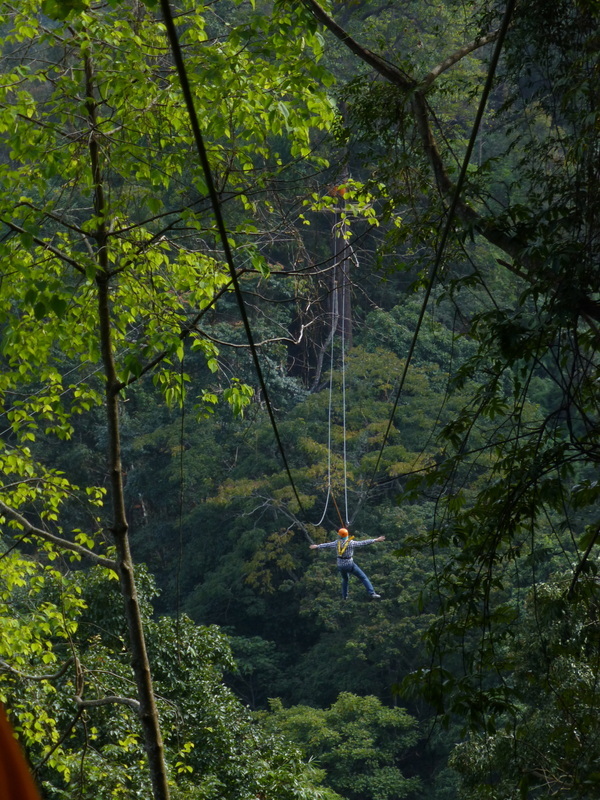 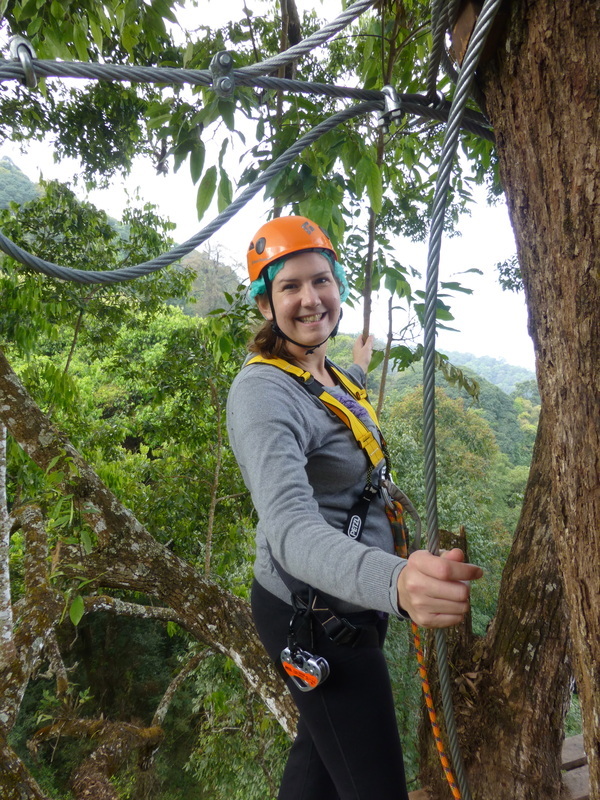 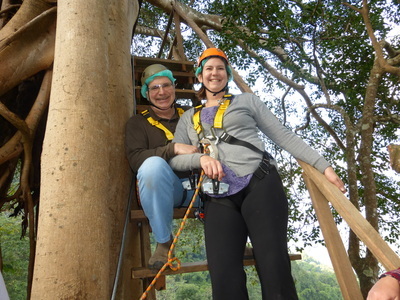 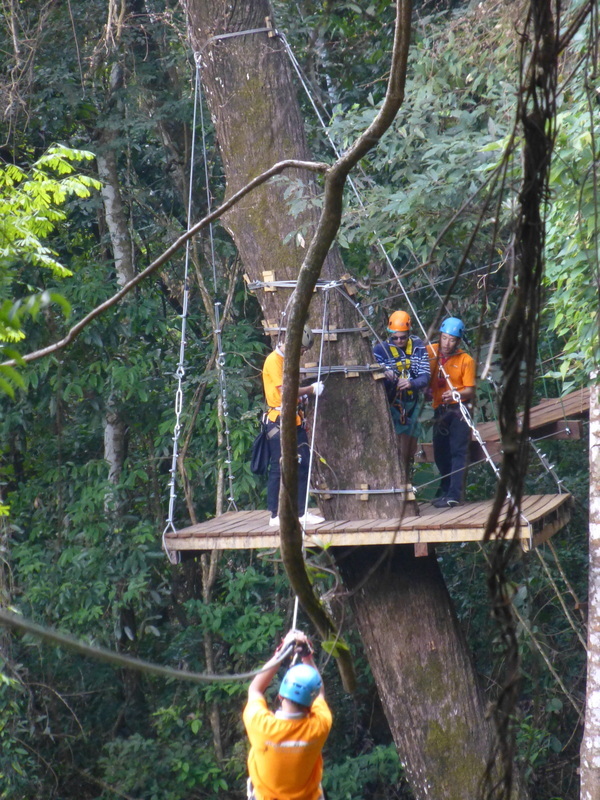 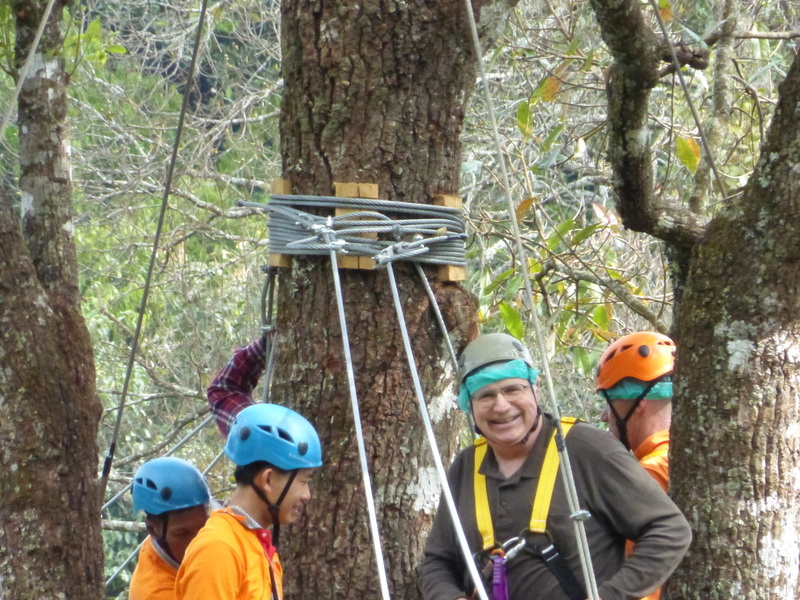 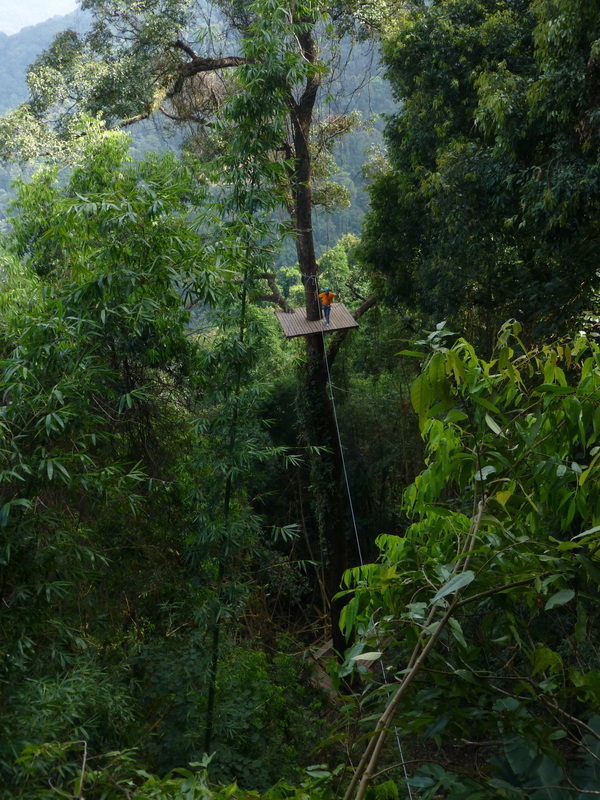 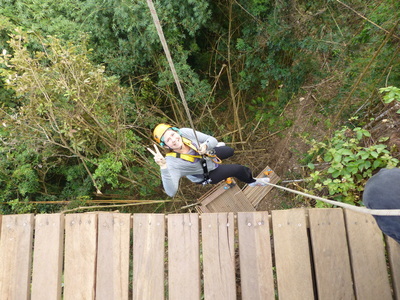 More videos of zip lining near Chang Mai December 2013. 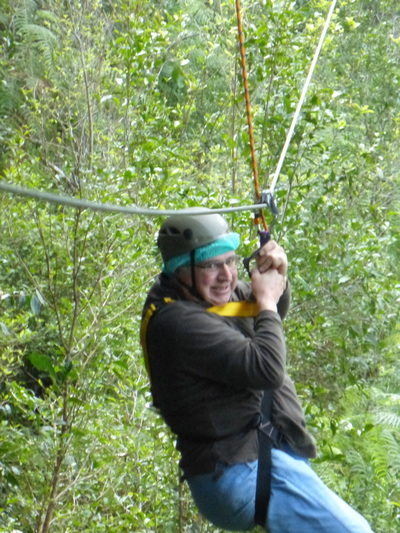 To the best of my knowledge, our zipline adventure was with Skyline Adventure. 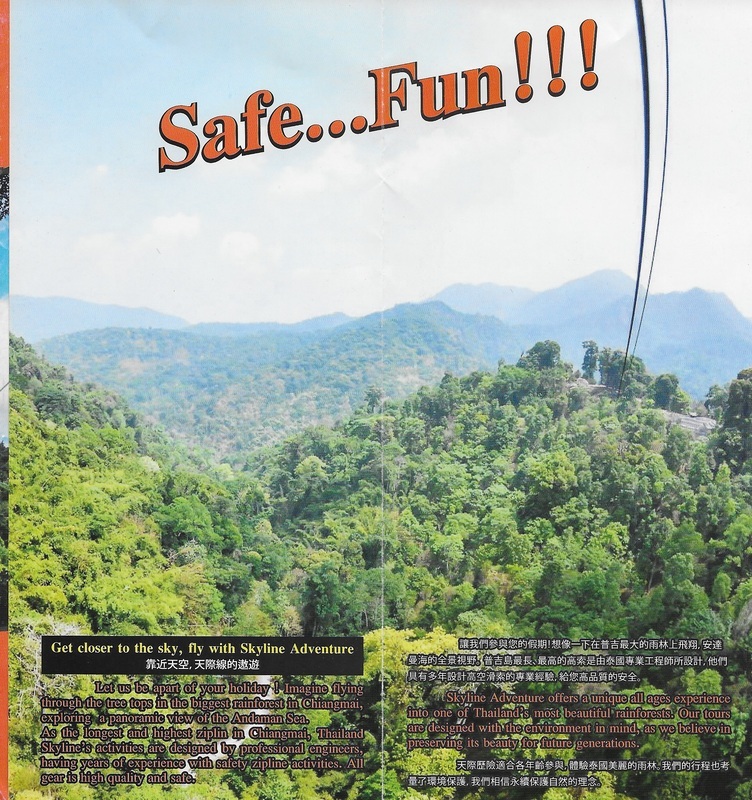 Following is their literature.